I press flowers throughout the year and often create miniature gardens on cardstock to use in the place of overpriced greeting cards. Today, as I was walking, I noticed the Wild Grape leaves were beginning to emerge. The samples in the photo range in size from a quarter to about a dime. They are thick, but press well, and keep their beautiful Spring colors. 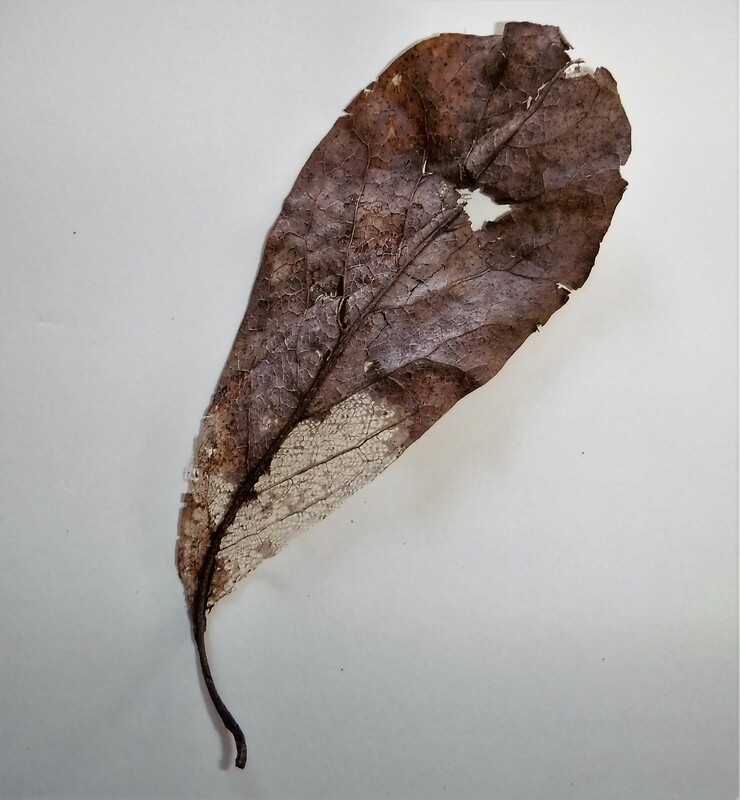 I often use the underside of the leaves for my compositions. The pink tints of Spring are deeper on the back, and I love the added texture of the veining. I found these gems as I took a morning walk around the block today. I wish I had thought ahead and had a small baggie in my pocket. I also would have enjoyed taking a photograph of the tenacious vines in their native setting, and of course, a pencil and notepad would have been great to jot down my thoughts at the moment. I need to keep these things at the ready in the desk near the front door, easy to grab when on the run or starting a walk. If you press flowers, or want to try, this time of the year is a perfect starting point. Trees are unfurling leaves, maple keys, and other bud-like growth that won’t be found again for a year. Happy Pressing! For more information on pressed flowers click on the title in the category cloud in the right sidebar of this blog. Pressed Blue Hydrangeas – The secret to capturing these lovely shades of watercolor-like blues and greens is letting the flowers begin to age before you pick them for pressing. 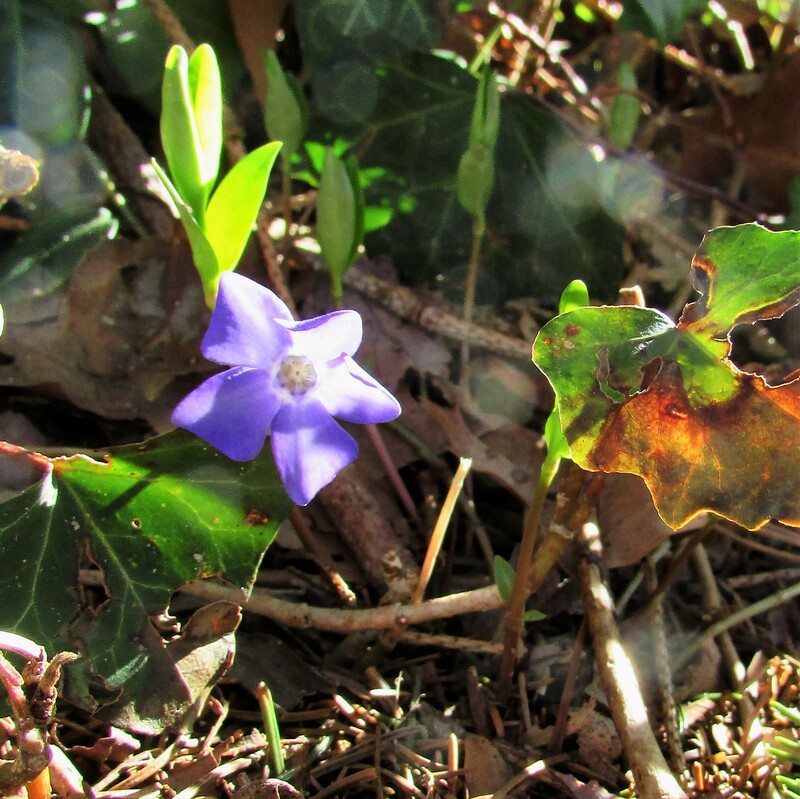 When the petals are streaked with many shades of blue and green, and have a papery feel, they are ready to press. Blossoms of hydrangea pressed too soon will quickly brown. I don’t use microwave heat to press hydrangeas, pressing between the pages of older books works best. These beautiful hydrangeas are a little preview of Spring in the midst of Winter. It’s time to be on the lookout for Autumn leaves. 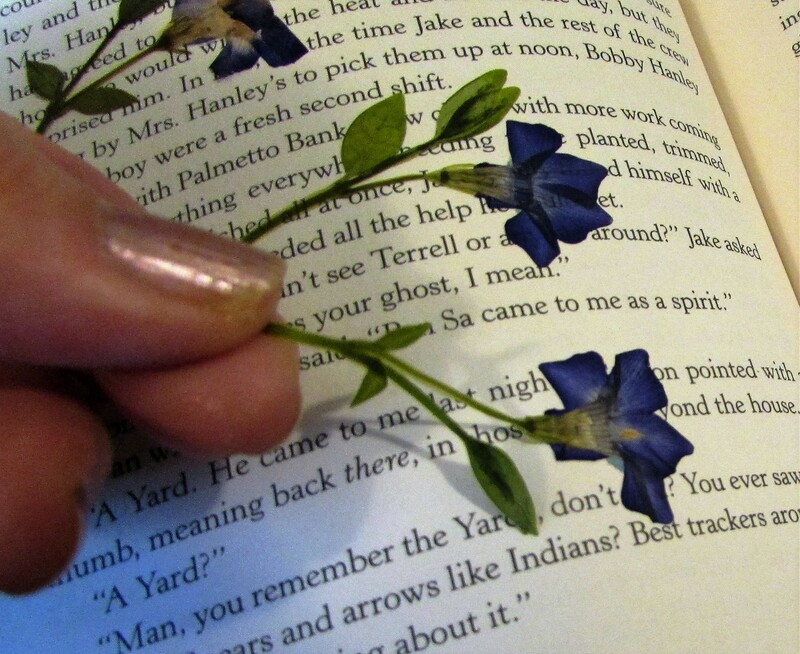 I press them between the pages of books and use them for crafts and Thanksgiving table scatter. They look lovely hung from mantels or chandeliers. They make great place cards. Write the names of your guests on them with metallic felt-tipped markers. Encase within pieces of glass, seal edges with copper tape or decorative duct tape and use as trivets for your holiday table. Have fun! My four broccoli plants are going to seed. They never produced heads of broccoli, and were destined for the compost bin. Before I got around to pulling them the buds bloomed into interesting and colorful flowers. Hmmmm? Would it be possible to press these beautiful florets? I have tried to press lettuce flowers gone to seed in the past, and they were too delicate and thin? I am always on the lookout for yellows; would the broccoli work in book or microwave? Oh YES! I picked several florets and pressed them both ways. The microwave and book pressing both worked perfectly. 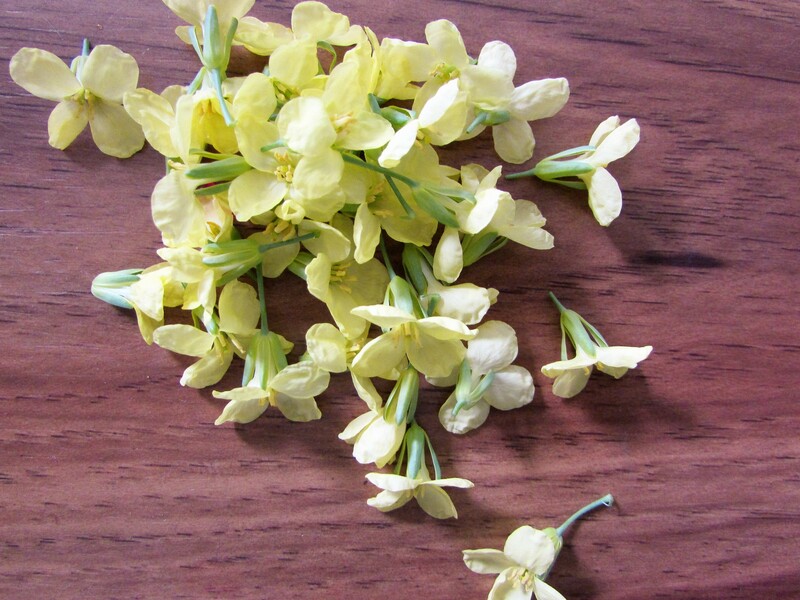 The florets greatly resemble wallflowers after being pressed, but instead of fluorescent orange, they turn a brilliant yellow. 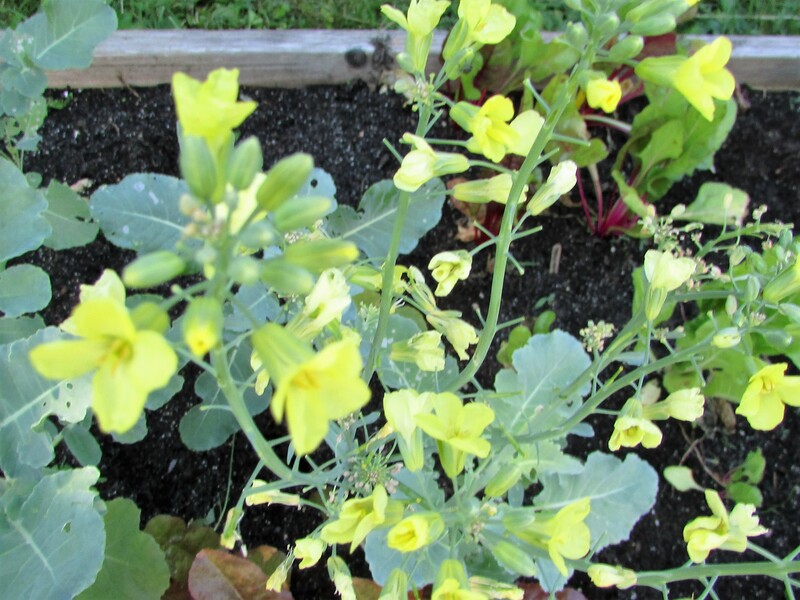 I can’t wait until the rest of my broccoli plants go to seed, in fact, I might plant a few more mid-summer just for the blooms. Go figure!!! Aren’t the unhappy surprises that turn into blessings one of the things that makes life grand? YES! Broccoli florets, lower right, with wallflowers and pansies. 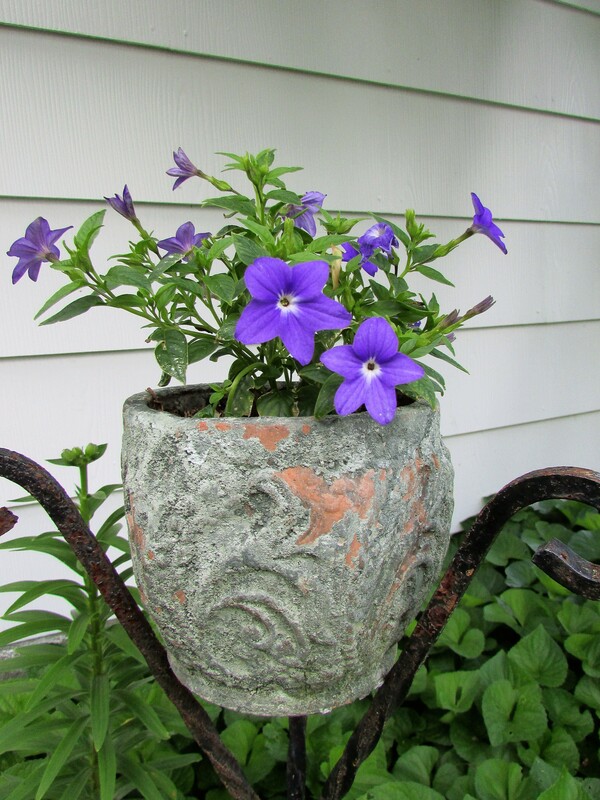 I planted a beautiful browallia plant in a rustic pot this year. It’s thriving in a spot that receives strong morning sunlight. I love the beautiful amethyst shade of its petals. 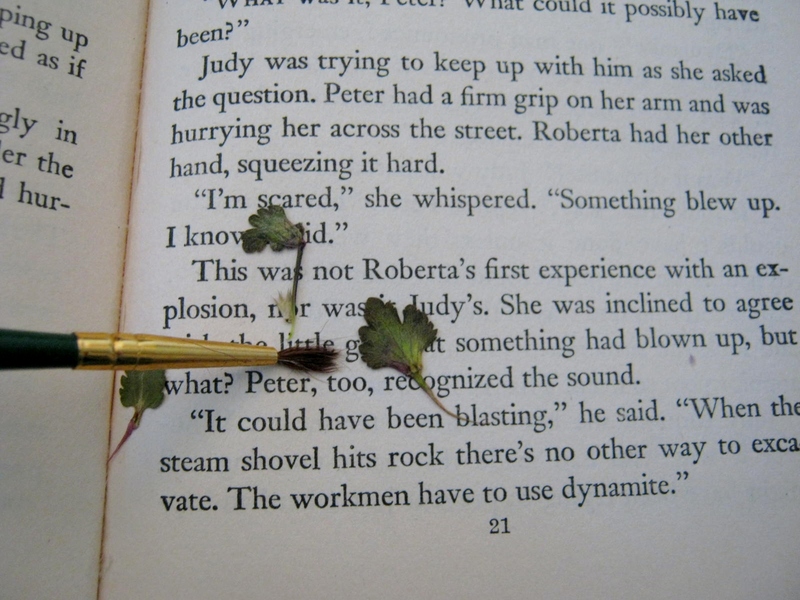 I’ve also experimented with pressing browallia flowers and have found the best way to process them is to use the standard method of pressing in an older book. 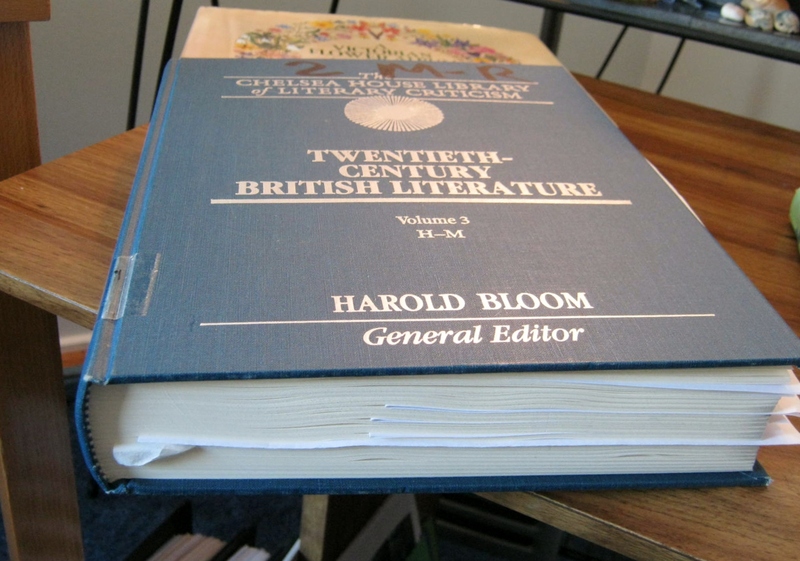 Place the flowers between the pages, weight the book down, let it sit for about a week, then remove the flowers and store between acid free paper. 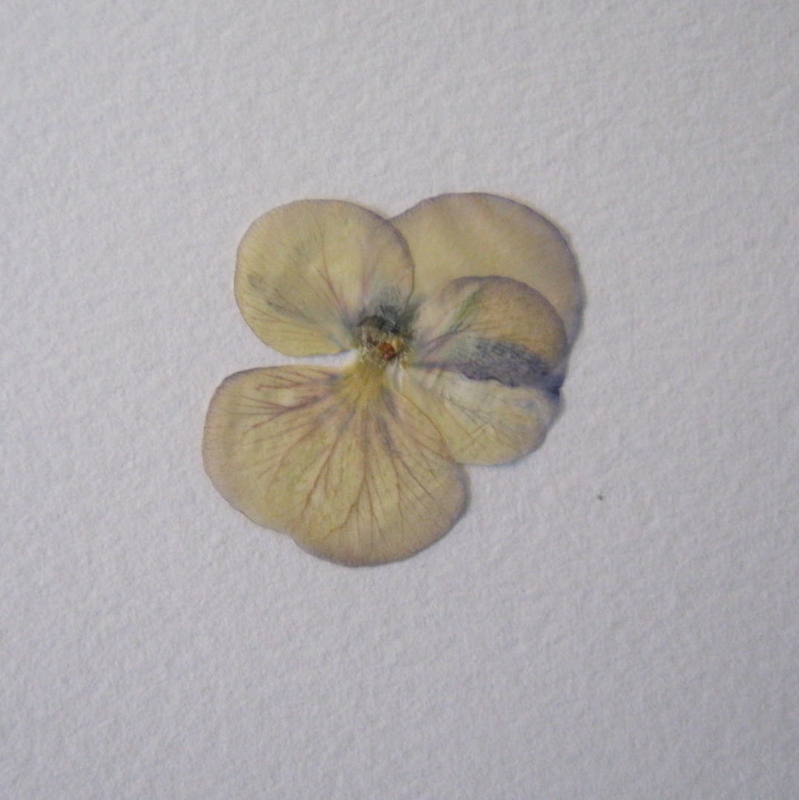 When I attempted to flash-dry the petals in the microwave, which works perfectly for the Johnny-Jump-Up Violas in the photograph with them, the flowers lost all their color and dried to an unusable tan shade. When I read today’s Daily Prompt title, “Flow,” I immediately thought of celandine. 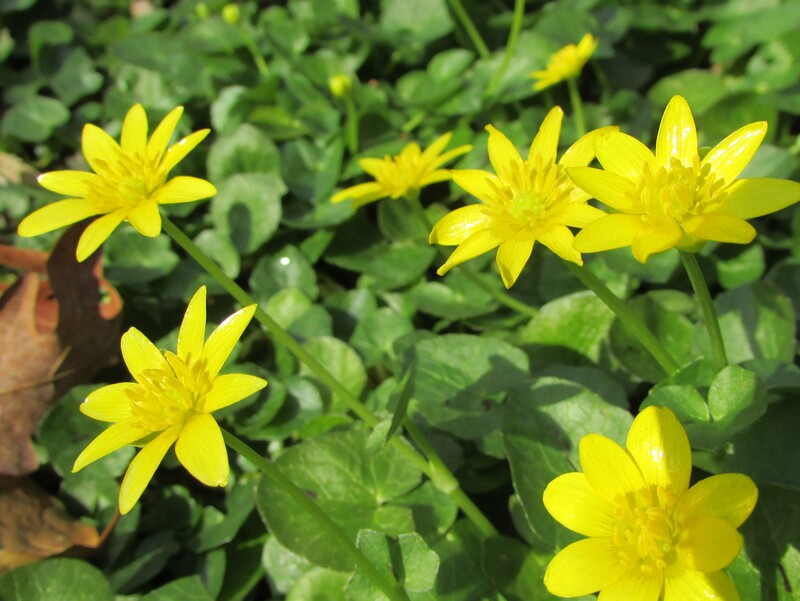 Also known as the fig buttercup, celandine rivals the common buttercup in the wow power of its brilliant gold petals. 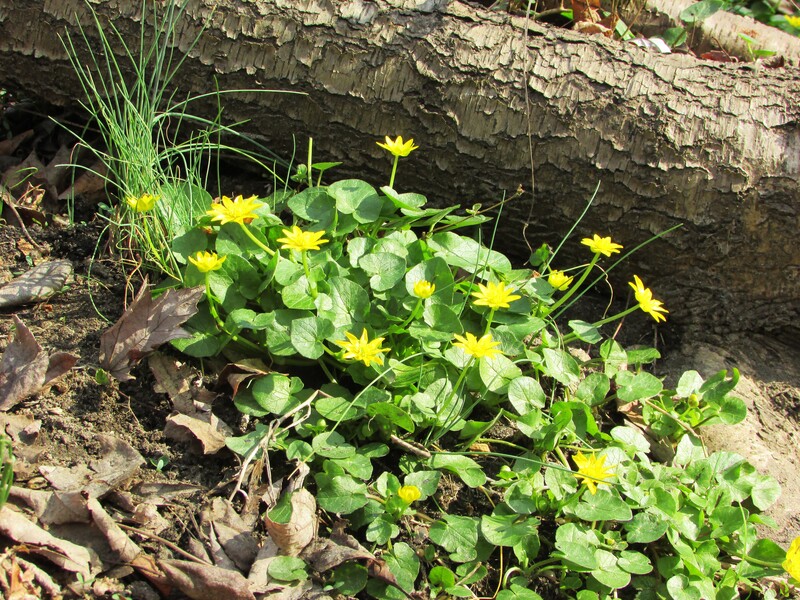 Add to that, its propensity to follow the flow of running water, in this instance a creek, and you will find a wildflower that creates a carpet of gold to greet the early warmth of March. 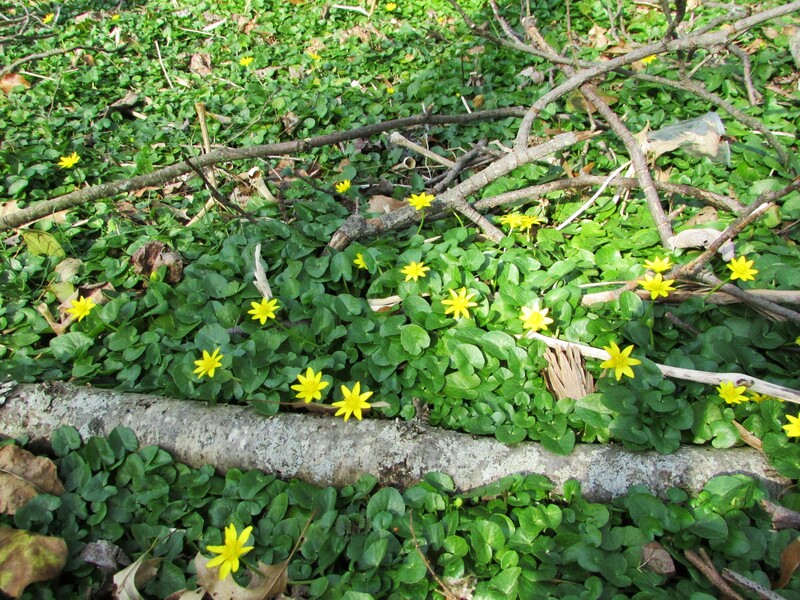 Celandine is considered invasive in some states. It can be toxic to grazing animals. On the other side of the problem of its invasive tendencies, is the ease of gathering and pressing, if you are a presser of flowers and foliage. Celandine retains its gorgeous gold color and presses well for me in traditional methods and in the microwave. Because it is very abundant, I never fear I am taking more than I should. Each year when I return to my favorite gathering places for celandine, I find the flow of flowers has taken over even more of the land. 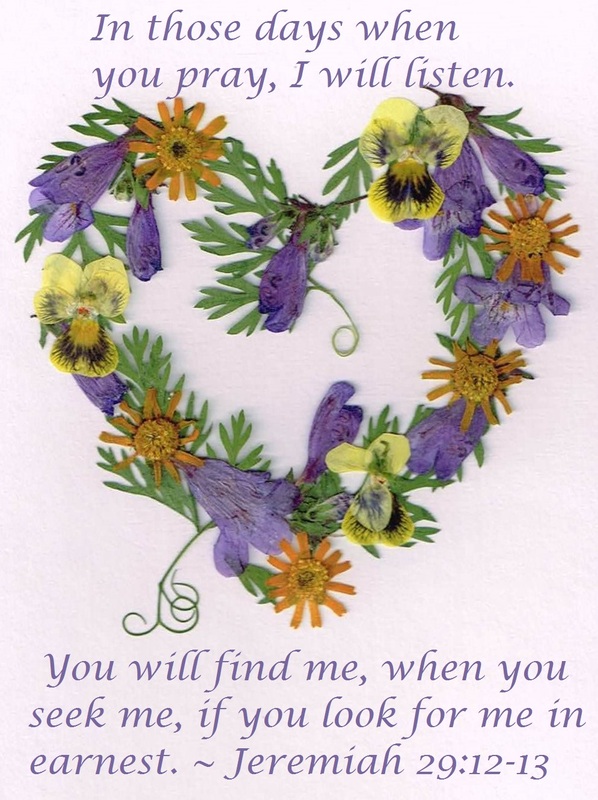 In the past I sold pressed flower greeting cards by the dozens at craft shows and even through a local hardware store. I don’t pursue this line of making a bit of money any longer, but I still like to create an occasional card for friends or family. I have posted many tips on how to press flowers in the blog. If you use the search box in the right hand sidebar, and search for “pressed flowers,” you will find quite a bit of useful information. I create my cards without using glue by creating a design on regular paper, and then dropping the flowers onto clear laminate backwards and right side down. I’ve included a quick video of one of my cards start to finish in 8x normal speed. You will even see me deal with a dilemma at the end of my creating. It’s a good idea to place the finished card in a book with a weight on top for a few hours before using it. Any questions…feel free to ask me in the comment section of this post. Thanks for stopping by and taking a look. 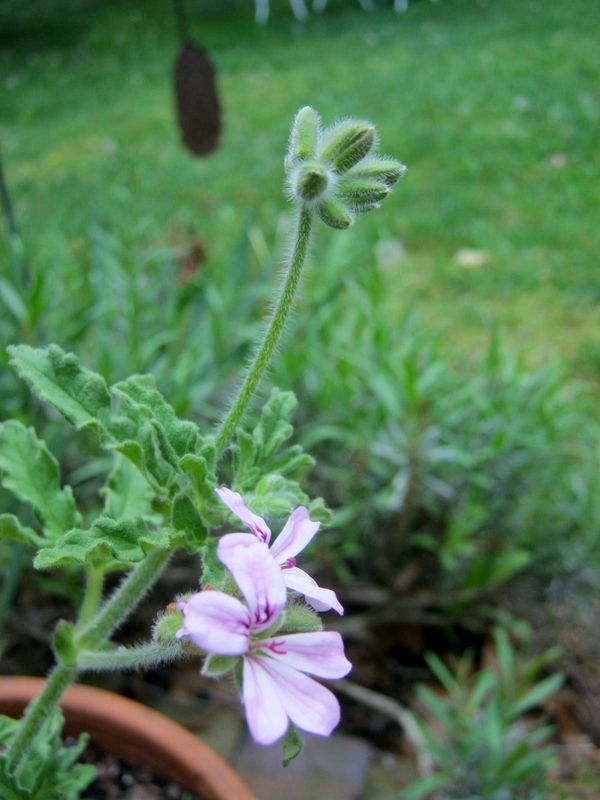 I grew a scented Geranium last year called “Grey Lady Plymouth,” a rose-scented pelargonium. 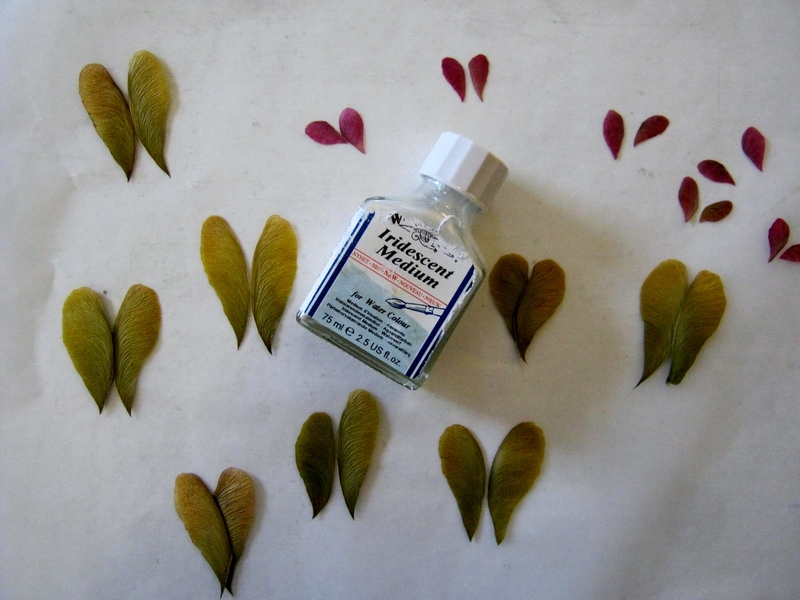 “Scented geranium care is pretty basic. You can grow them in pots, indoors or out, or in the ground. They prefer lots of sun, but may need some protection when the sun is at its strongest. They aren’t fussy about soil type though they don’t like wet feet. 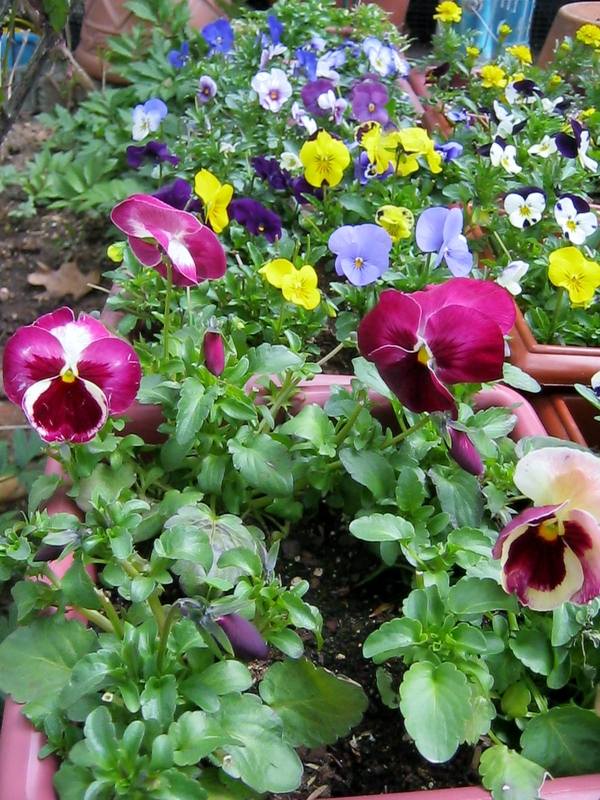 Fertilize them lightly and sparingly while they’re actively growing. 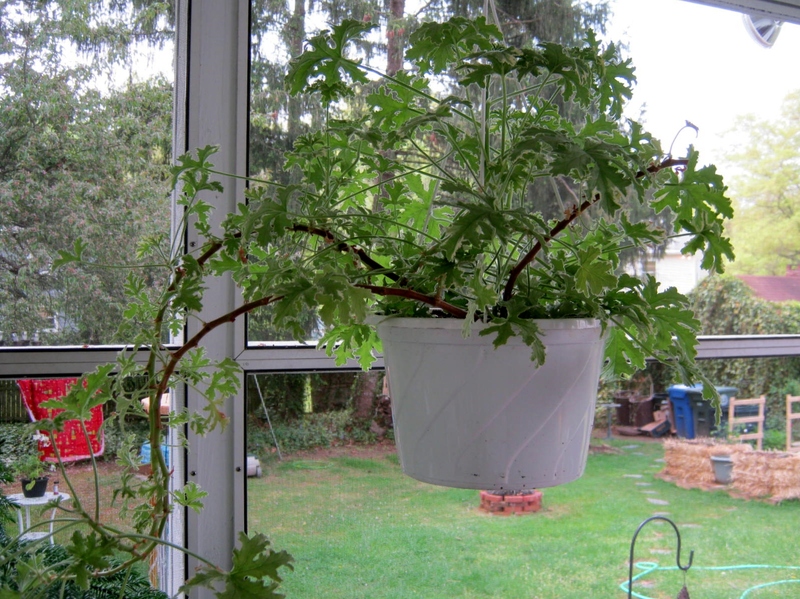 Scented geranium’s biggest downside is they tend to get leggy and need to be trimmed back to promote bushiness. Over-fertilization will only increase this problem.” ~ Gardening Know-How / Additional tips on growing scented geraniums. Scented geranium are grown for their foliage, but I love their small, nickel-sized pink flowers too. They are unique and press perfectly for pressed flower crafting. Because they bloom sparsely, each blossom is worth saving. 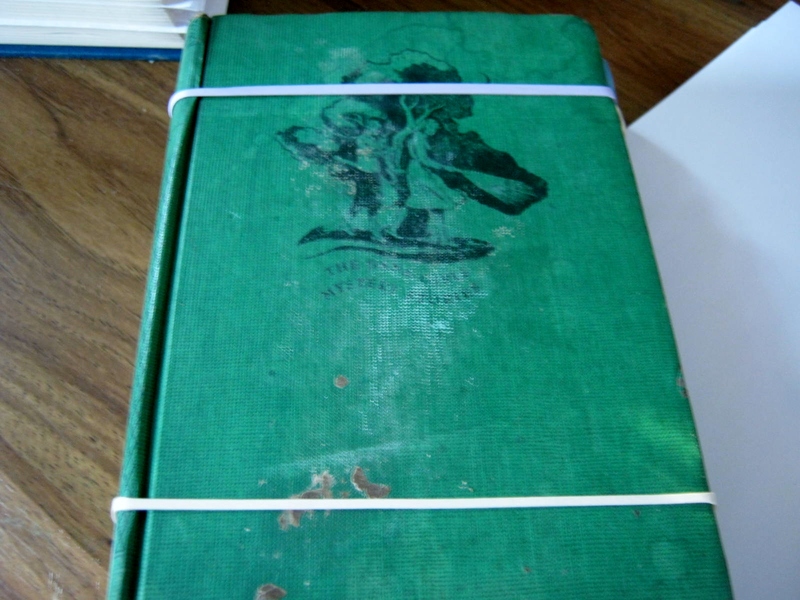 I press these inside absorbent old books, and also use the microwave method of pressing. 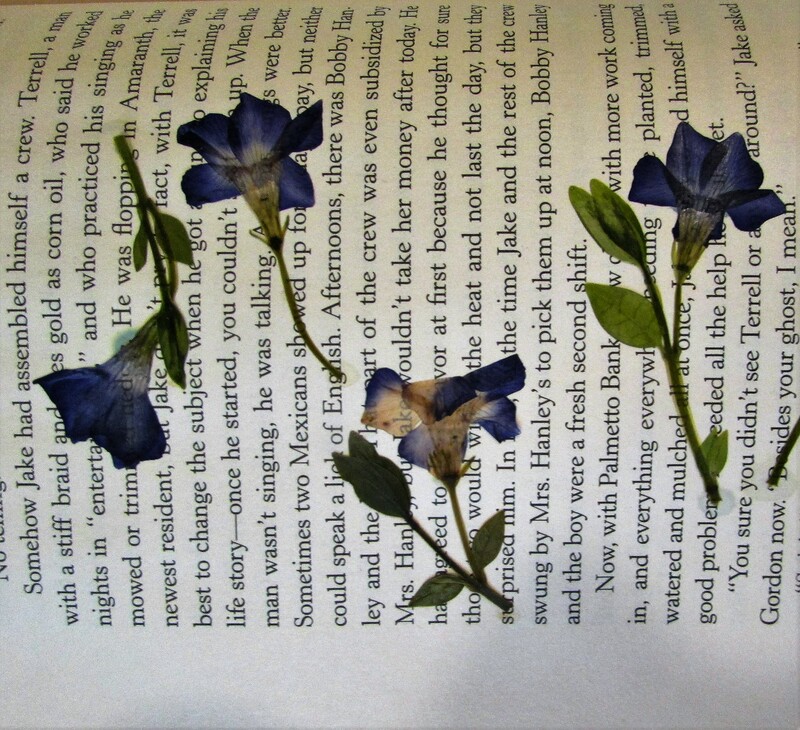 Microwave the flowers inside rubberbanded books for only 15 seconds. The foliage of scented geraniums does not press well for me using any method. If you have a chance to purchase a scented geranium this growing season, I guarantee you won’t be disappointed. Martha Stewart’s tips on using scented geraniums. 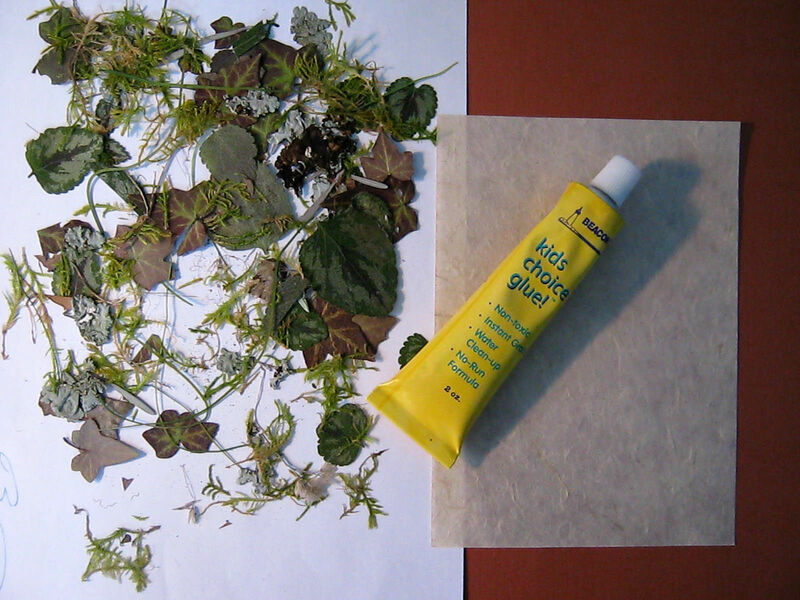 I’m re-blogging what I’ve found to be the best way to process most of the plant material I use for pressed flower artwork. 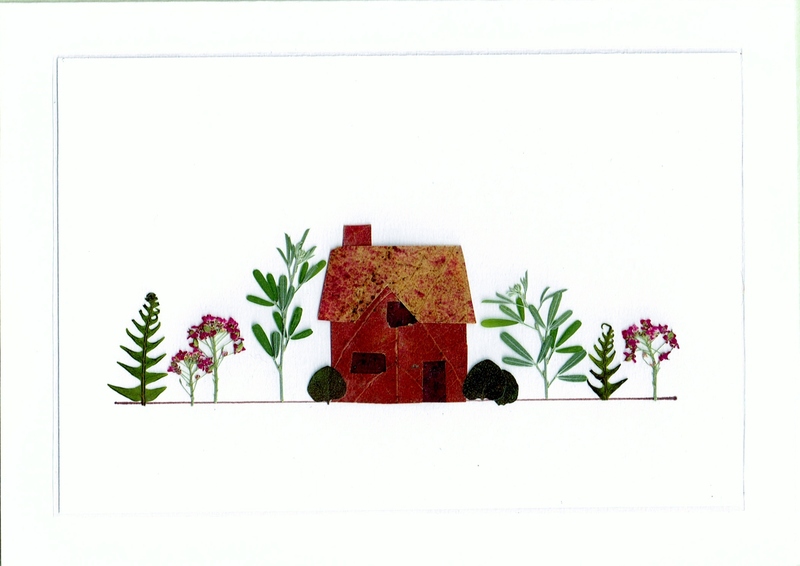 My favorite way to use pressed flowers is in the creation of greeting cards. If you’ve attempted to buy a finely crafted greeting card lately, I’m sure you’ve walked away from the rack in a state of shock…most of these cards are outrageously overpriced. Dollar store greeting cards fill in the void nicely, but there are special events when an inexpensive greeting card isn’t a good choice. 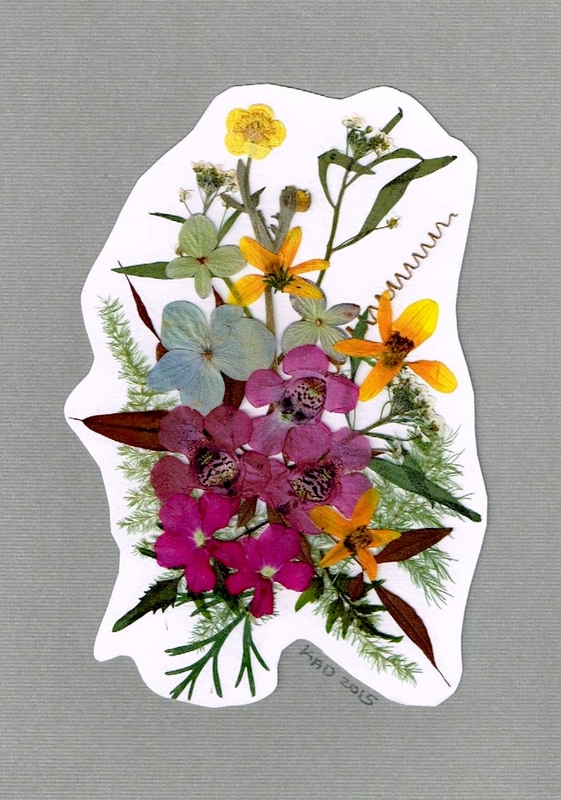 A handmade pressed flower card is often the perfect alternative. 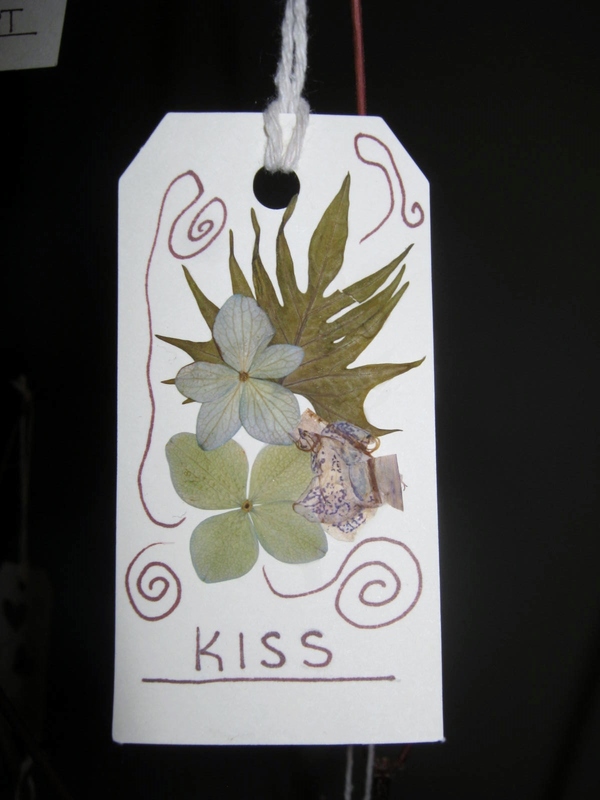 Throughout the next month or two, I’ll be posting a few of my favorite pressed flower greeting card tips. 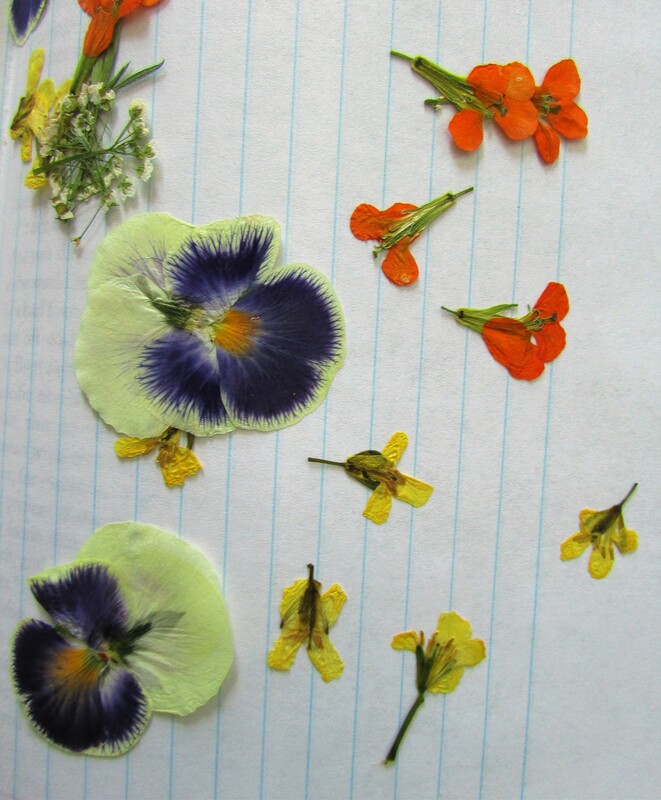 It’s time to begin restocking my pressed flower supply. 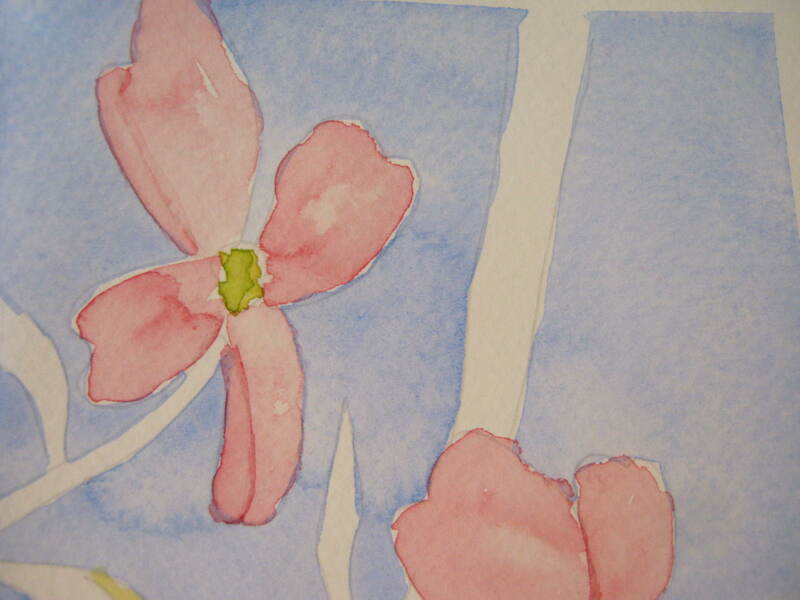 I love using wildflowers, they are often small and airy, perfect for pressed flower compositions. One caution though when using wildflowers, be sure that you are not using a plant that is protected as threatened and endangered in your state. To see a listing of your State’s Protected Wildflowers check out this site: US Government list of Threatened and Endangered Plants. I have found that the best way to retain the colors of most flowers and foliage is to flash press them in a microwave. I don’t use the expensive microwave presses; I have found the best way is to use an old book. The book must have very porous paper, it must not have gold or silver leafing on the spine or page edges, and a smaller book works best. Most of the books I use are from the 1930’s and 1940’s. You can find books of this age at yard sales and thrift stores. They are usually very inexpensive. 1. Separate your flowers into thinner petaled flowers and foliage, and thicker varieties. 3. 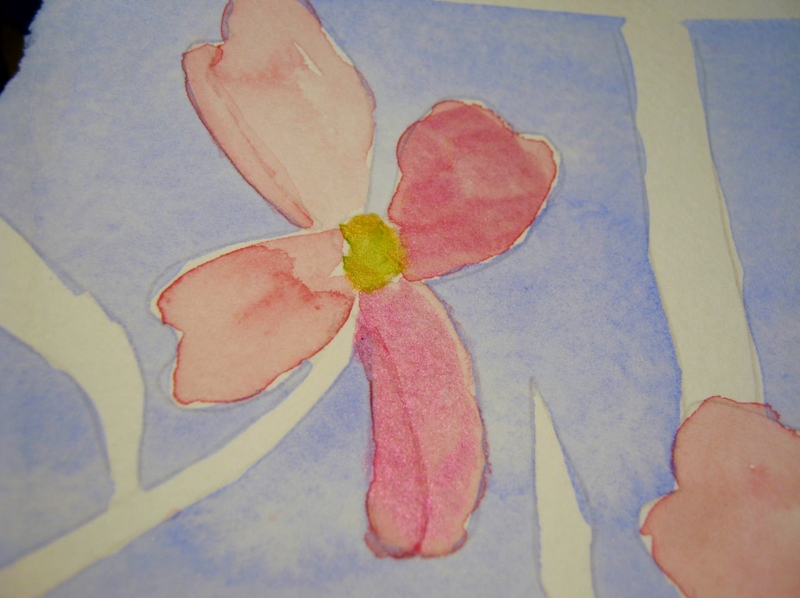 Lay the blossoms and foliage on the page. 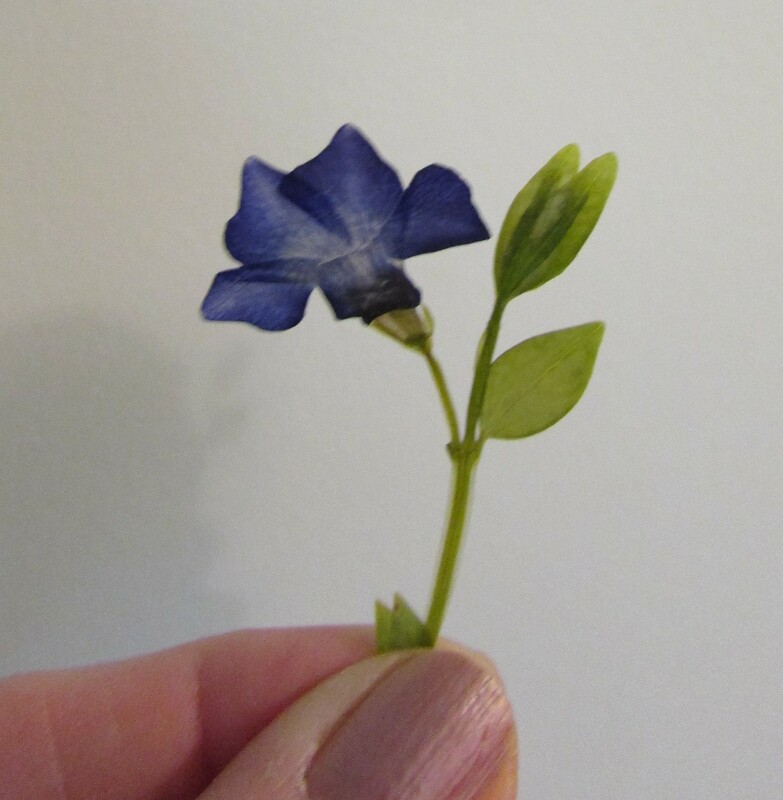 These vincas have a thick stem that will not press well behind the open faced blooms. 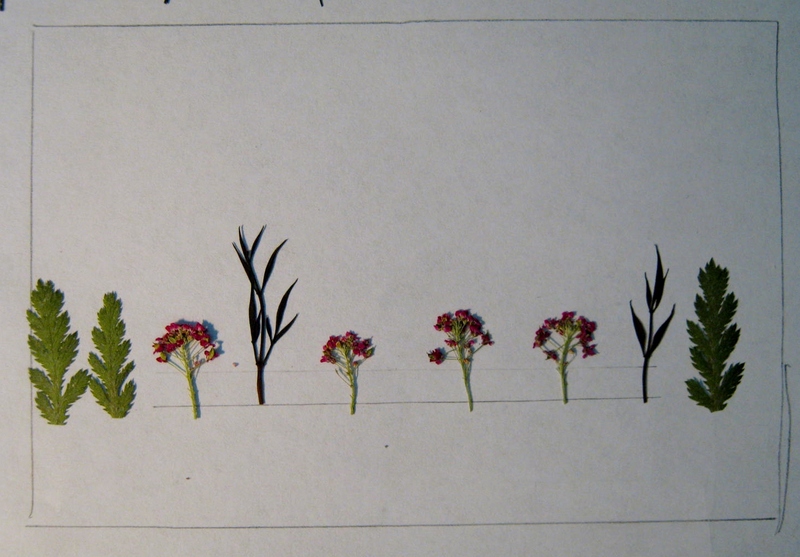 After I lay them out on the page I cut off that stem. For the side pressed blossoms, I leave the stem intact. I also include several buds of the flower. 4. Shut the book and rubber band the edges. 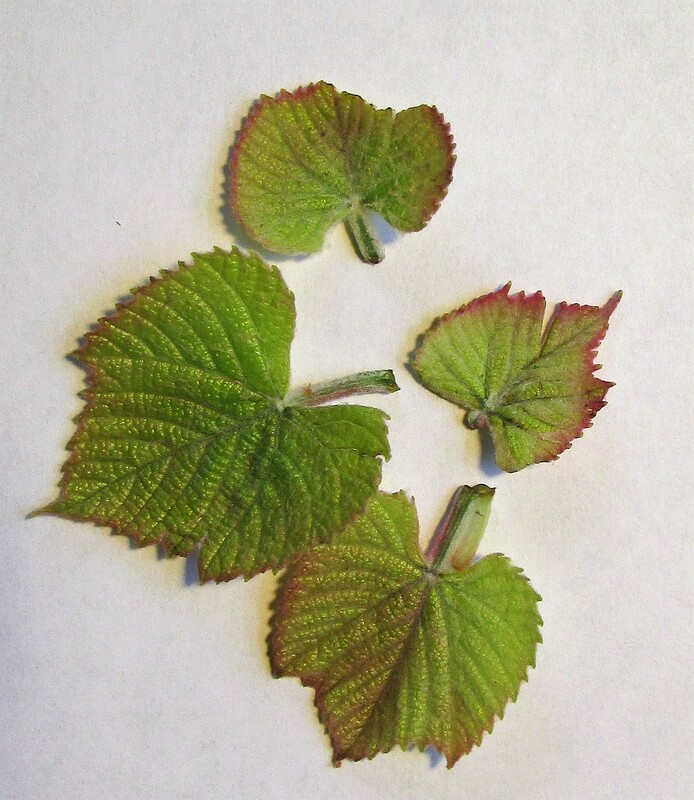 For thin varieties of flowers and foliage I microwave between 15 and 30 seconds. This provides the heat that speeds up the drying process. The book should not be hot, only gently warm to the touch. For thicker varieties of flowers and foliage I heat for 30 – 60 seconds. As with anything microwave temperatures vary, you will have to experiment to see what works best for you. After pressing, clean out any residue left behind in your microwave by heating a cup of water with lemon or citrus peel, and then wiping away the moisture from the sides. 5. Don’t open the book, leave the rubber bands in place and put your book under a heavy weight. 6. Your flowers should be dried and ready to use within 3 – 7 days. 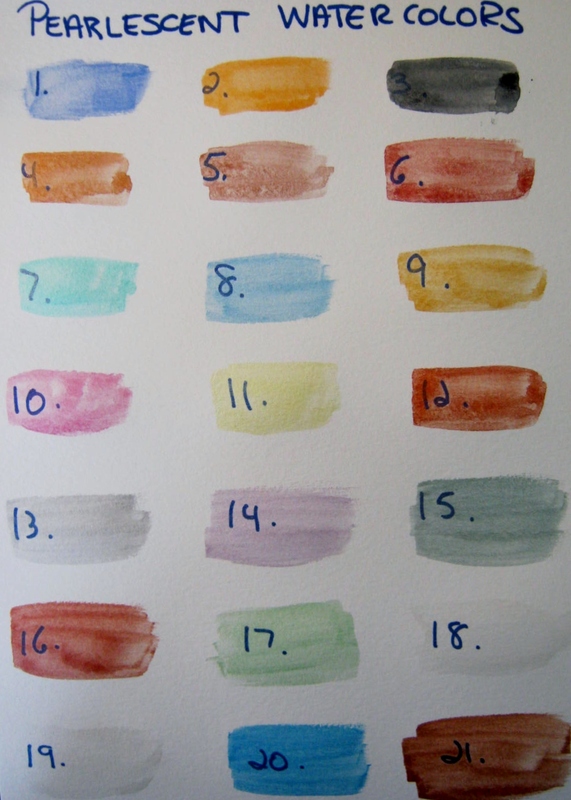 To remove them from the pages of the book, gently slide a soft paint brush beneath the edges. I use large books to store my pressed flowers. 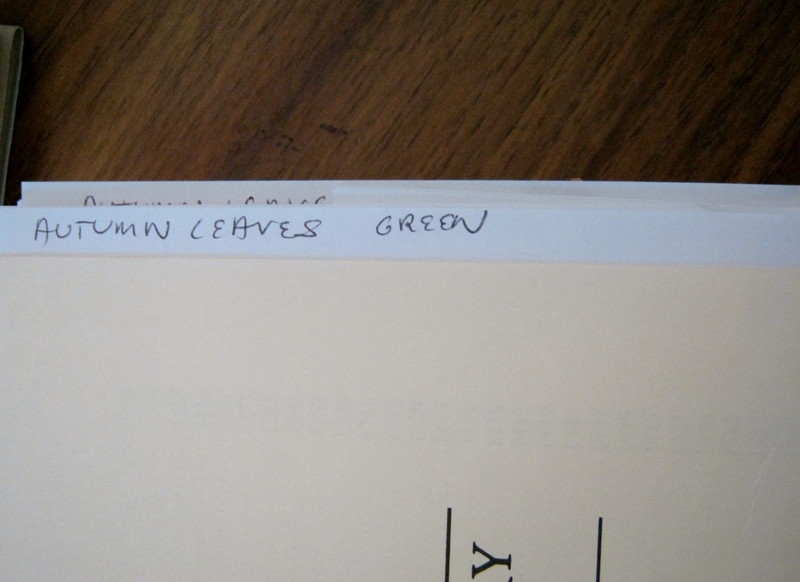 I place them on acid free paper and label the sides, leaving the edges hanging over the book pages about 1/2 inch. This helps me find exactly the type of flower I want when I am composing a picture. The flowers and foliage are ready to use. 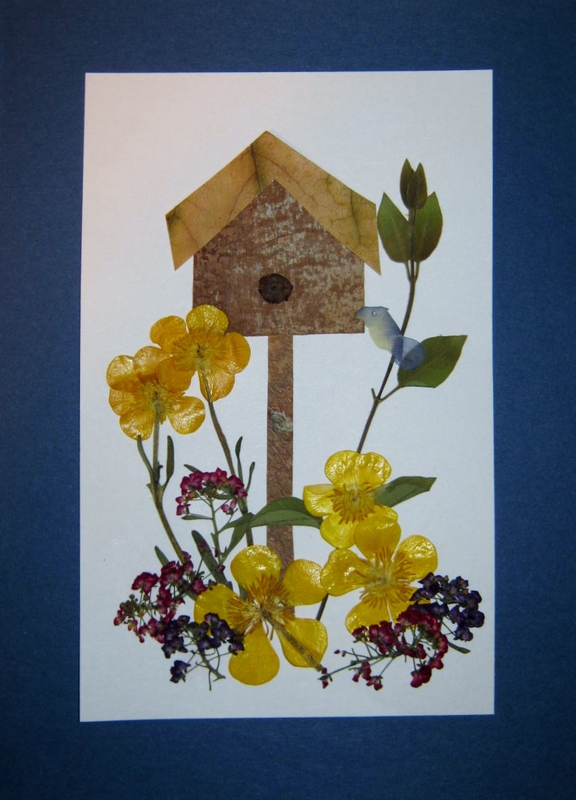 In coming days and weeks I’ll give more tips on how I compose, glue and use my pressed flower projects. 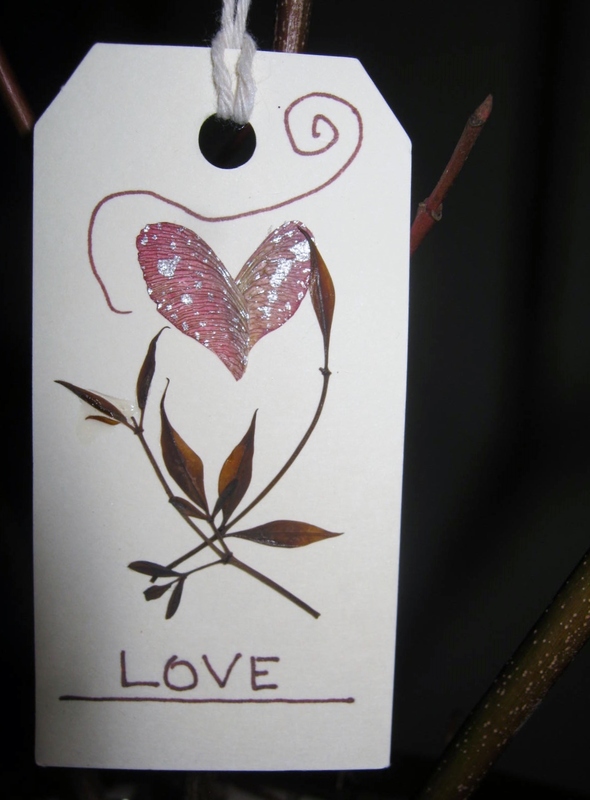 Ask most people what comes to mind when they hear the word, “February,” and they will answer, “Valentine’s Day, Love and Flowers.” I’ve combined these three themes into one, and created a Valentine Tag Tree. This project was very economical. The only item I purchased was the pack of tags. 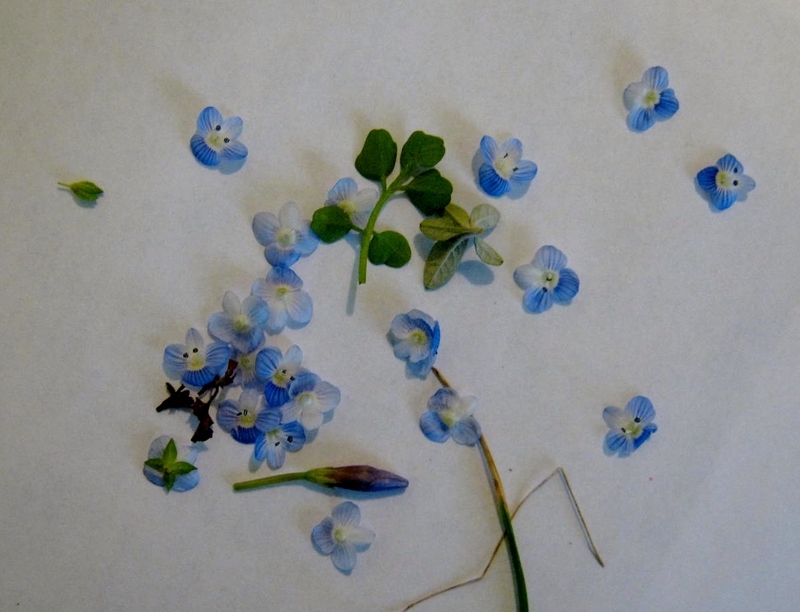 I had pressed flowers on hand, and the twigs were free, gathered during a Winter walk. I created the hearts out of maple keys. A few years ago I collected hundreds, small and large, in colors of green, beige, pink and red. 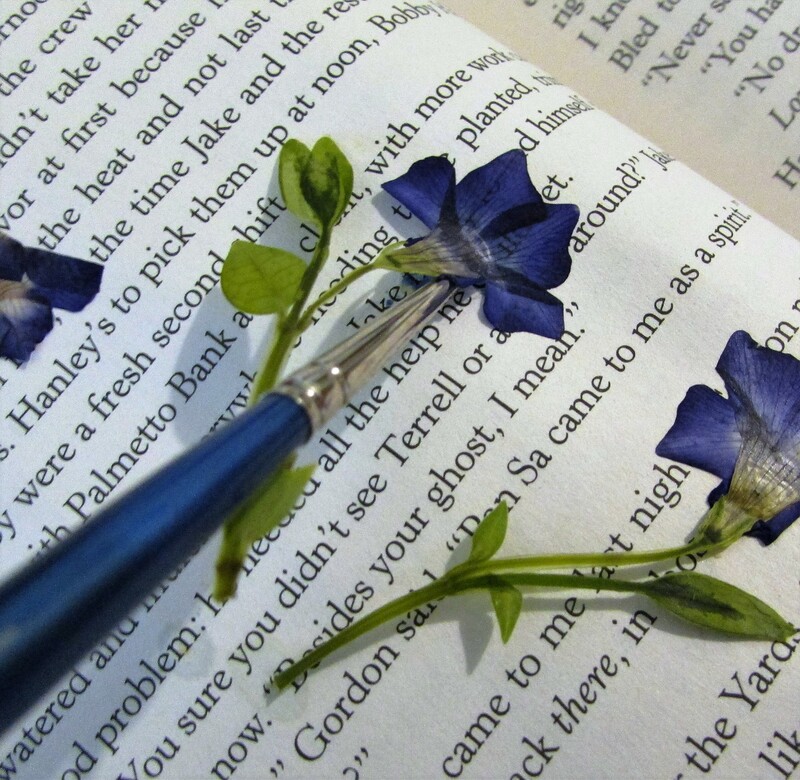 I cut away the seed and pressed them within the pages of books. I love finding new ways to use the keys. I chose Winsor & Newton’s Iridescent Medium to add a bit of sparkle to the keys. The medium didn’t cover evenly, but I liked the rivulets and blots it created…they added more interest and sassiness. The maple keys were easily trimmed into half a heart shape, and glued together, creating beautiful and unique Valentine hearts. 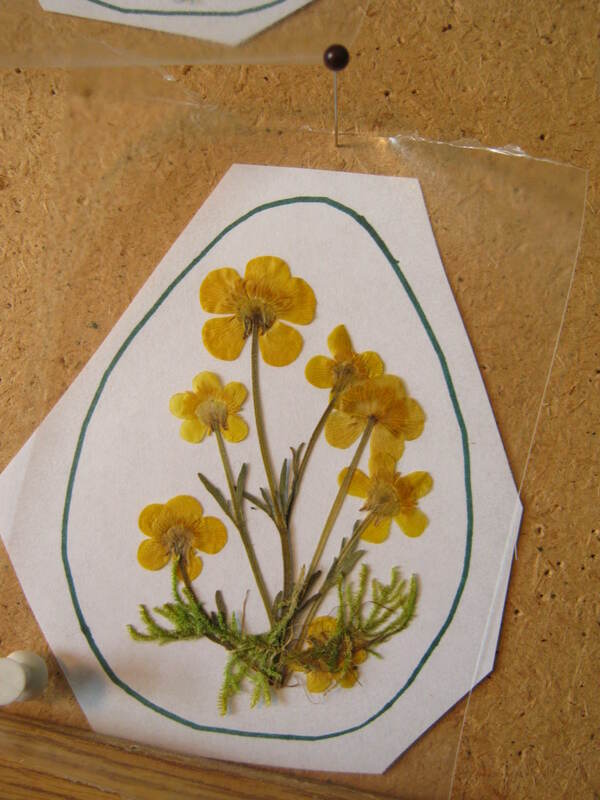 I glued on a few pressed flowers. Hydrangeas, while not as vivid as the day they were picked and pressed, still added a hint of blue or a green hue. 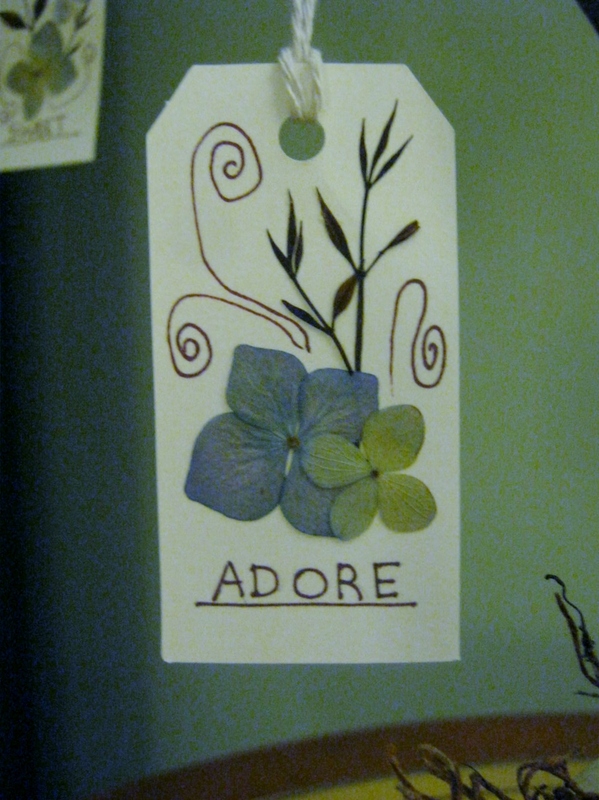 I used a fine-tipped permanent marker in brown and added words of love and a few swirls on each tag. I enjoyed creating a Valentine Sampler with the finished tags. 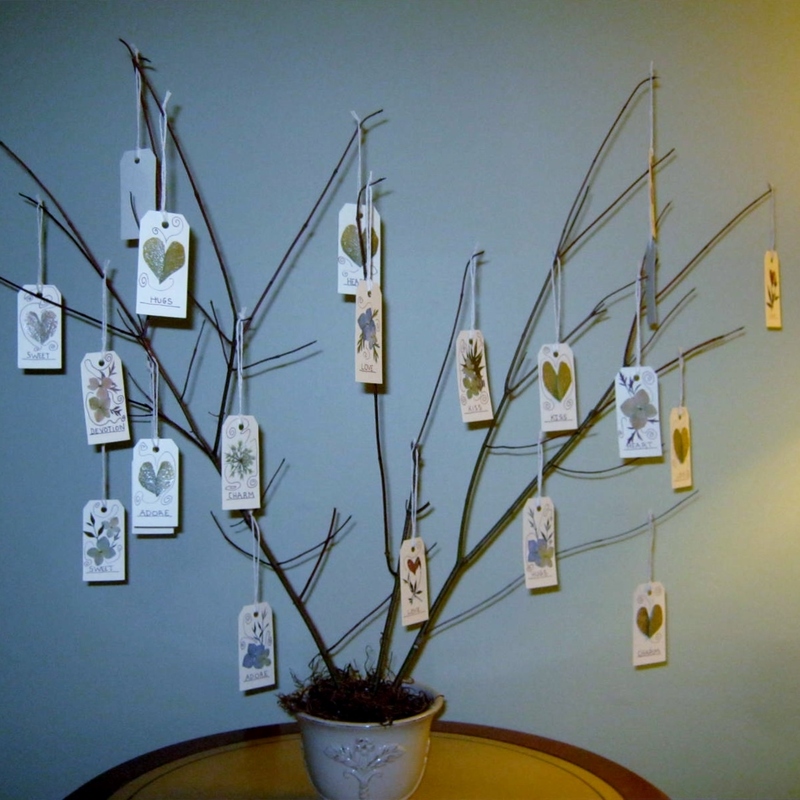 I was tempted to glue these down and frame them, but decided to stick with my original idea…a Valentine Tag Tree. The base was easily constructed, a piece of floral foam, a bit of hot glue, and a ceramic urn. 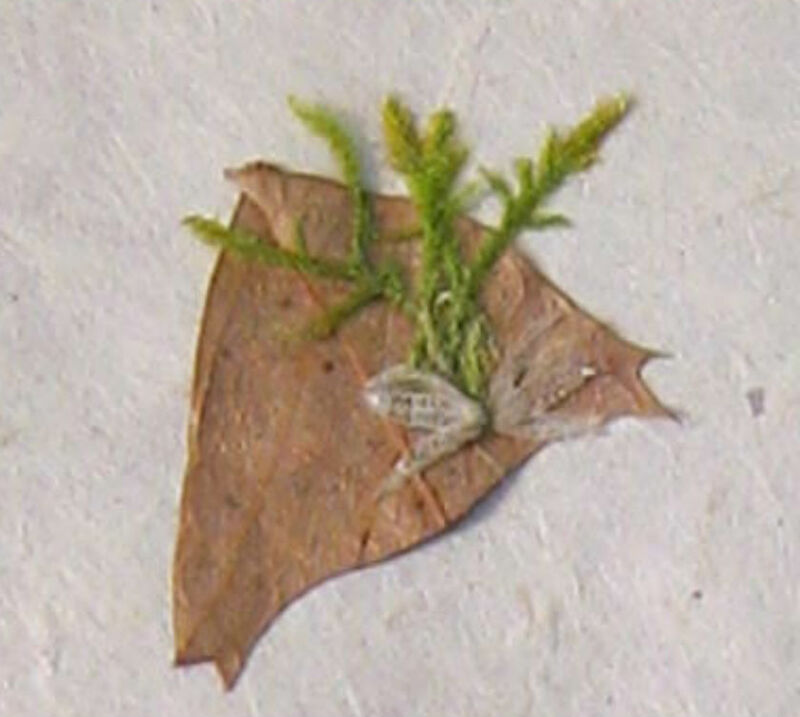 Spanish moss hid the mechanics of the container. A substitution for floral foam would be a grid of tape across the top of the container. Aluminum foil could also be used to wedge the twigs securely in place. 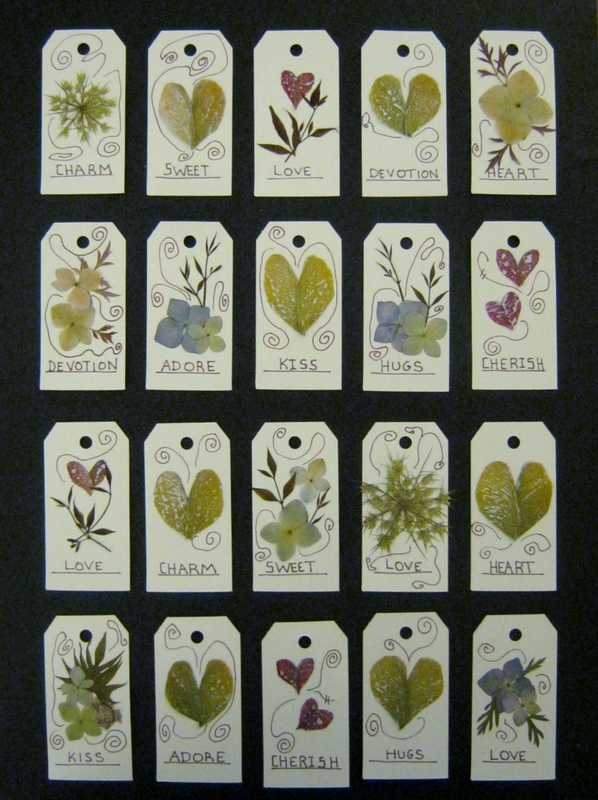 If you don’t have pressed flowers you can use bits and pieces of magazines, seashells, twigs, moss, heart shapes…there are so many choices for these tags. Most of all enjoy yourself. 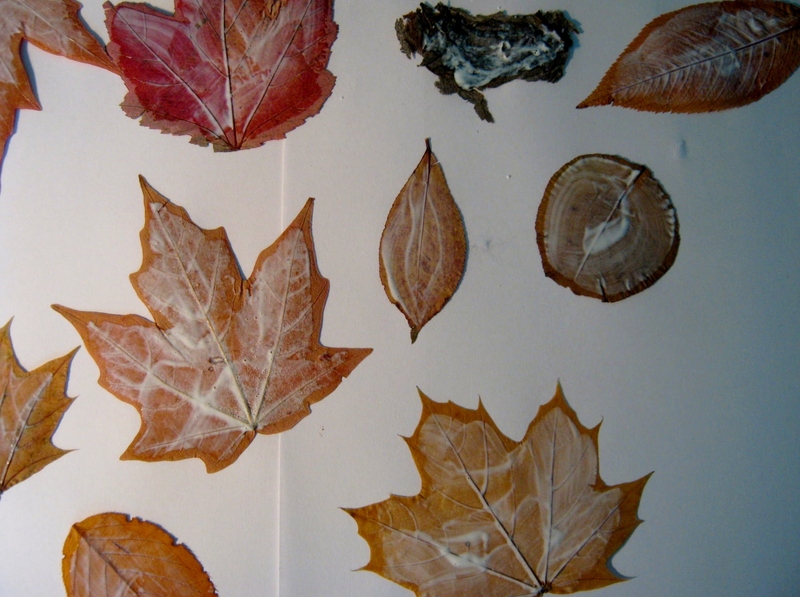 I’ve combined a few posts from past years on how I use pressed Autumn leaves. 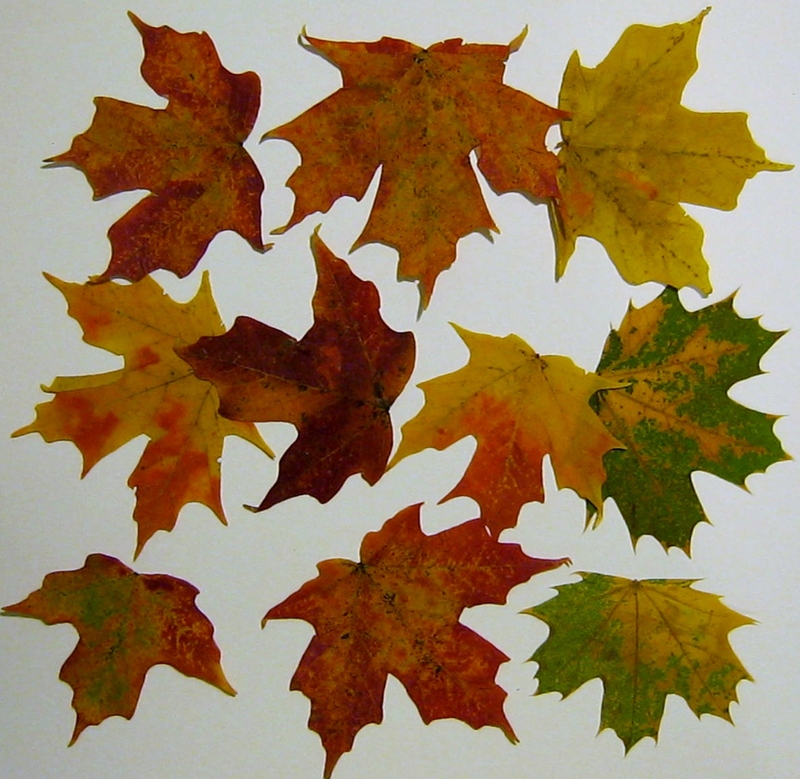 It’s not too late to press a few Autumn leaves for crafts and Thanksgiving table scatter. 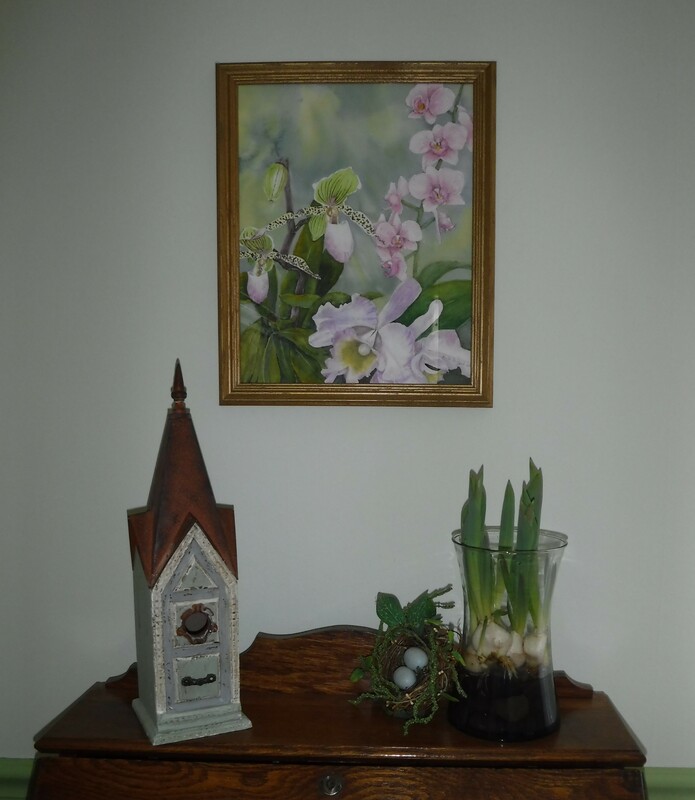 They look lovely hung from mantels or chandeliers. They make great place cards. Write the names of your guests on them with metallic felt-tipped markers. Encase within pieces of glass, seal edges with copper tape or decorative duct tape and use as trivets for your holiday table. 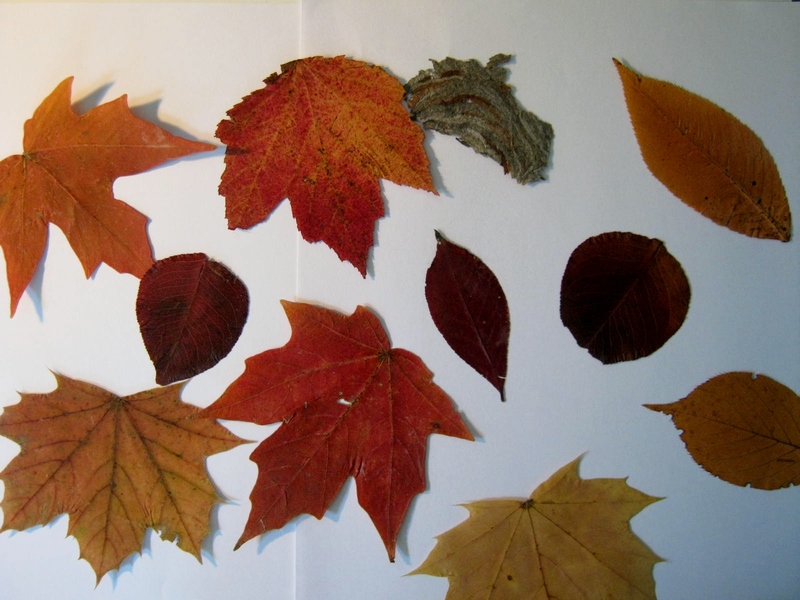 I use quite a few Autumn leaves in my pressed flower compositions. They are great for cutting into different shapes. 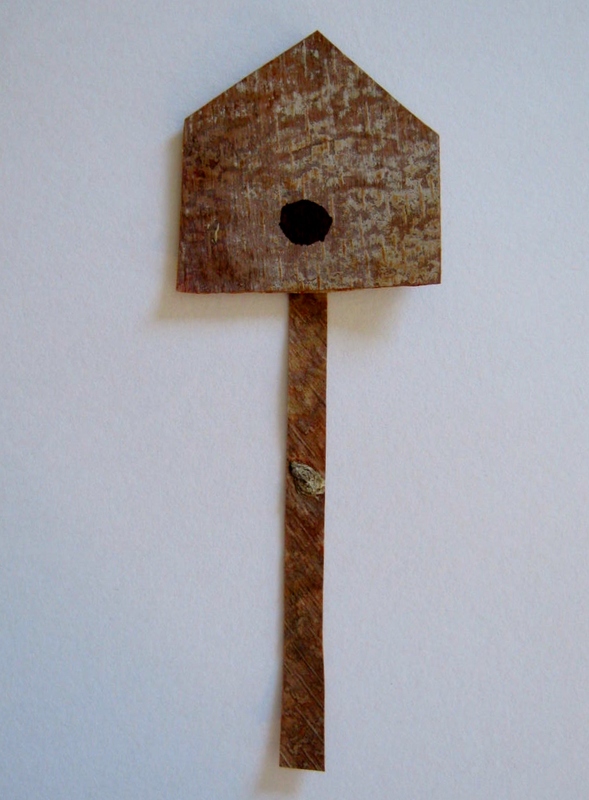 I create many things with the pressed leaves: birdhouses, wagons, baskets, flowerpots and even small houses. 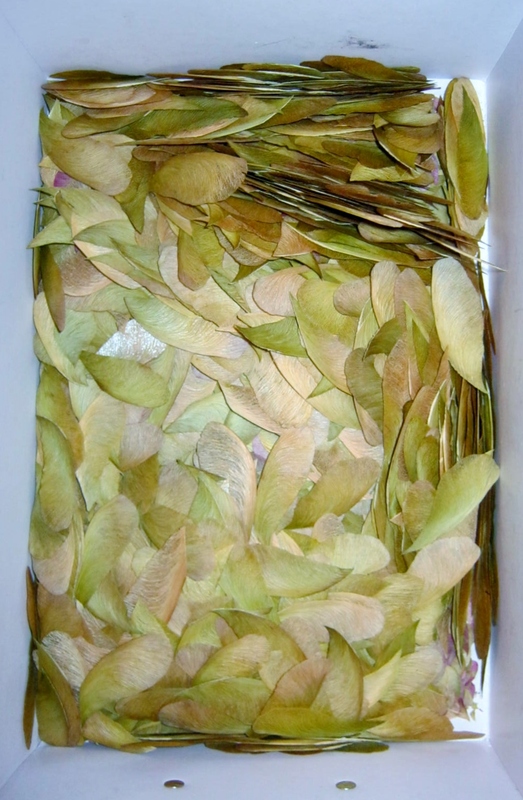 One problem that arises when cutting the leaves is their brittle nature when dried and pressed. To cut without treating them in some way usually results in shattered pieces or raggedy edges. I’ve found a few fixes for combating this problem by stabilizing the leaves with an added layer. 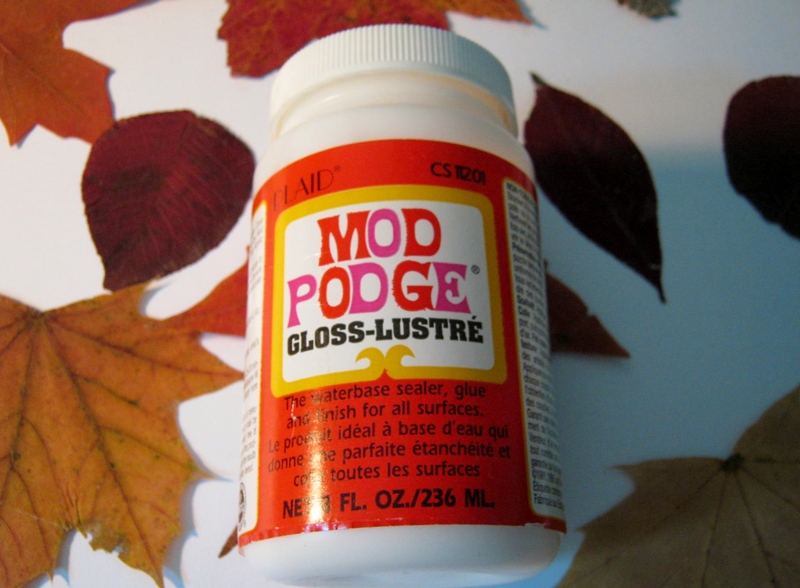 When the Mod-Podge is completely dry, I use a Sharpie marker to trace the house pattern onto the mod-podged side of the leaves. 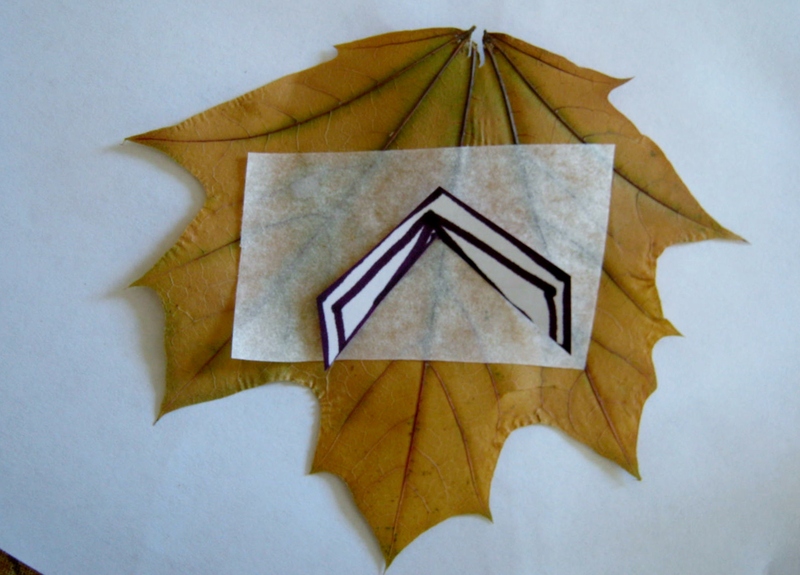 Use a marker that is as close to the color of the leaf as possible or it might show through to the front side. Make sure you remember that when you cut out the traced pattern it will reverse itself. 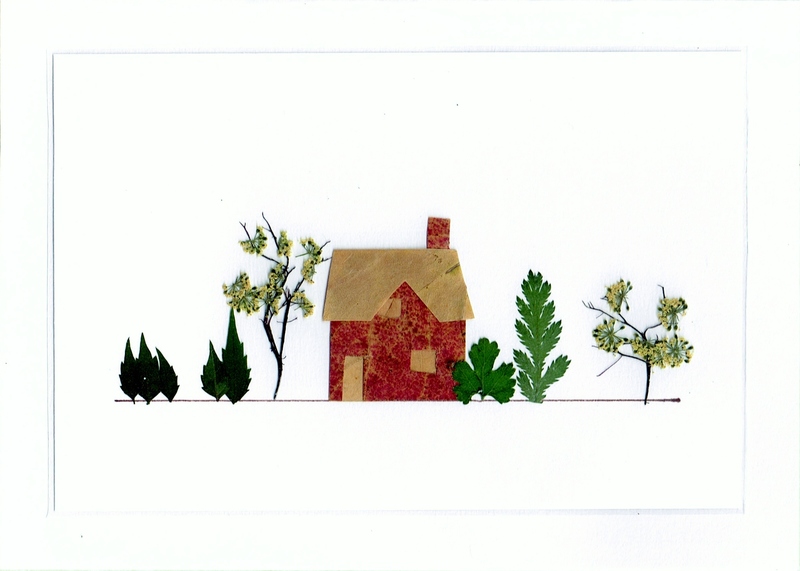 For instance, in the finished card, if I use side one of my pattern to trace, on the finished house the door will be on the left of the house, not on the right. 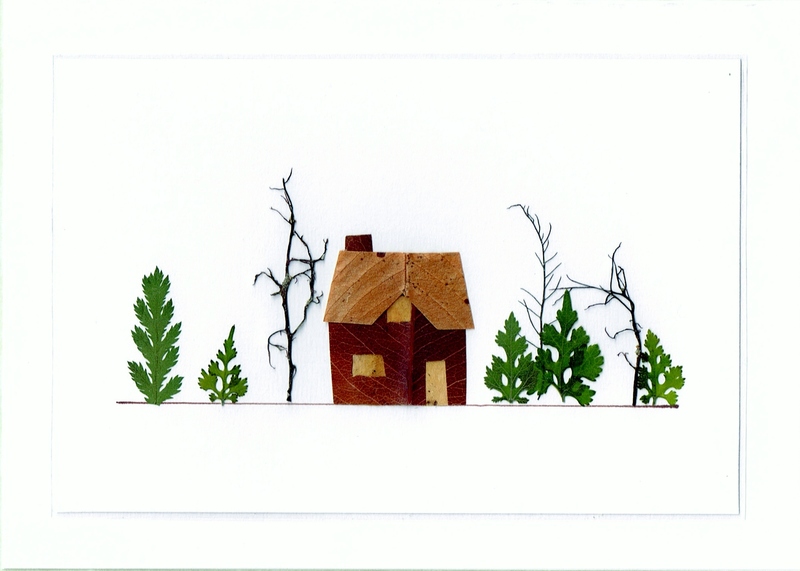 To finish this card I choose small pieces of foliage and very tiny flower bunches to create the trees. I set these aside at the ready. 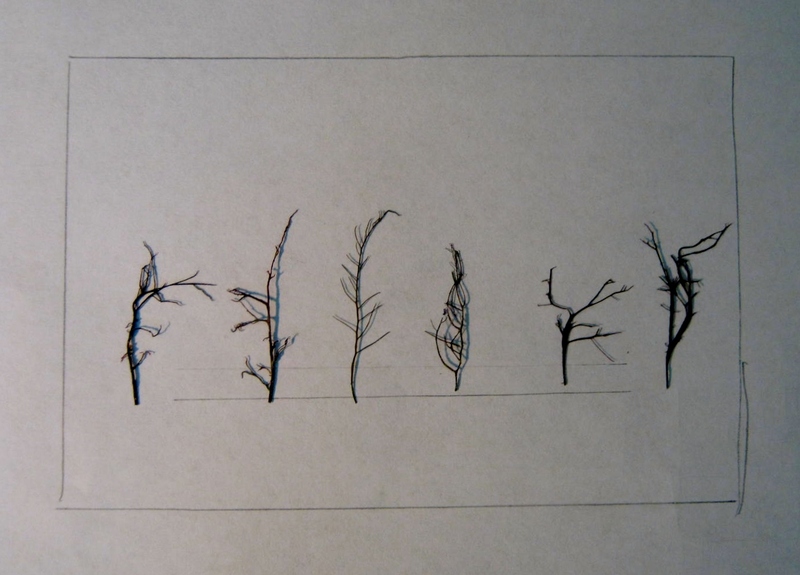 For everyone who wondered why I press seaweed….here is the answer: Pressed seaweed is perfect to make small trees. 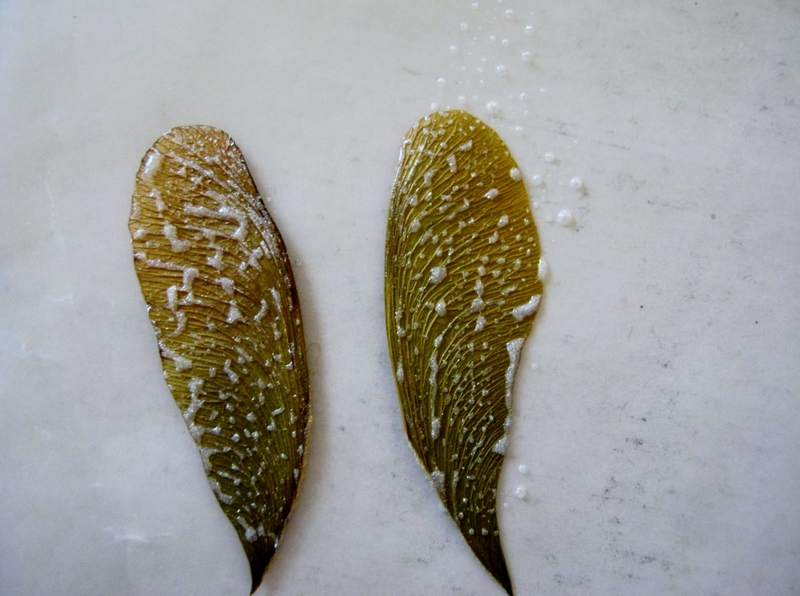 When dried and pressed the thick fronds of this type of seaweed shrink to delicate branches. 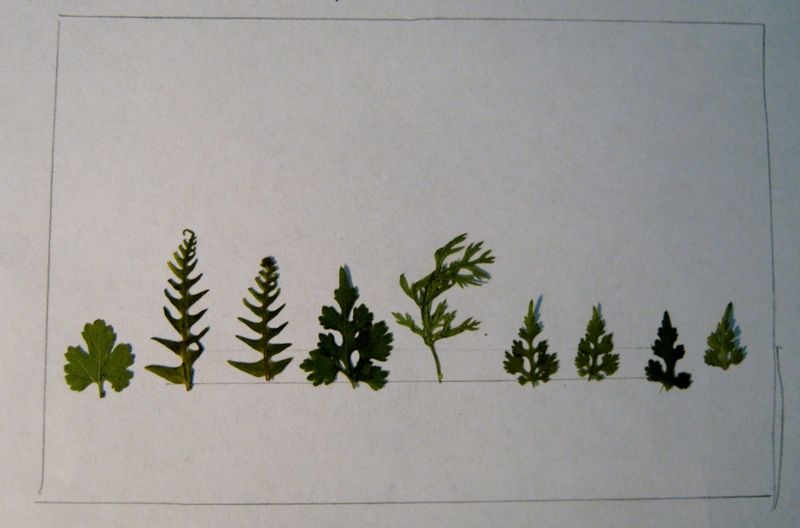 Small ferns, leaves and pieces of Queen Anne’s lace foliage, all look like small trees. Small florets of flowers look like Crape Myrtle trees in bloom. Here are a few of the finished cards. 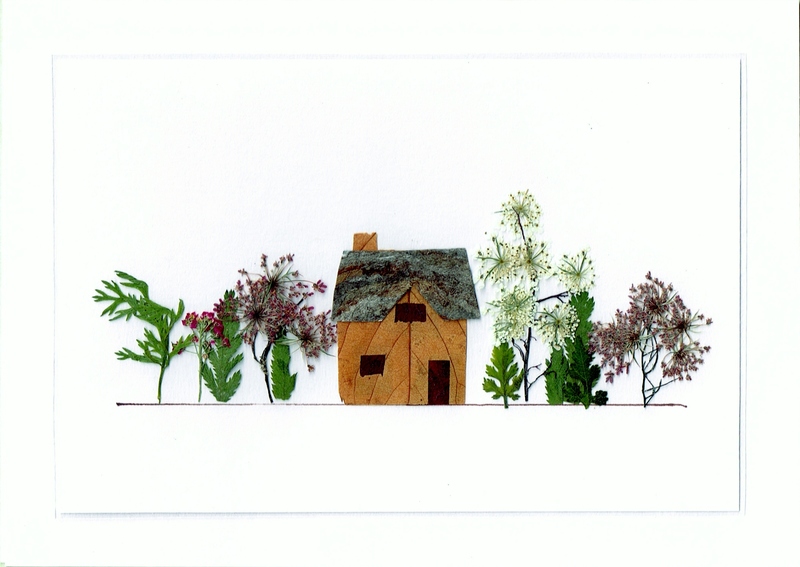 Four seasons of pressed flower houses. 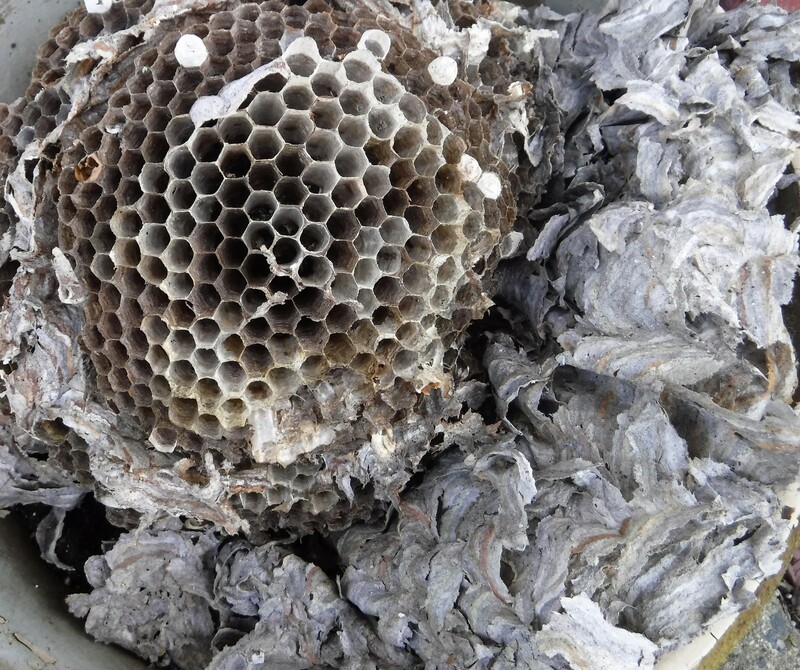 For those who wondered why in the world I would press pieces of an abandoned hornet’s nest, the answer is above: hornet’s nest paper, pressed and mod-podged, is easy to cut into shapes for unique additions to my pressed flower creations. 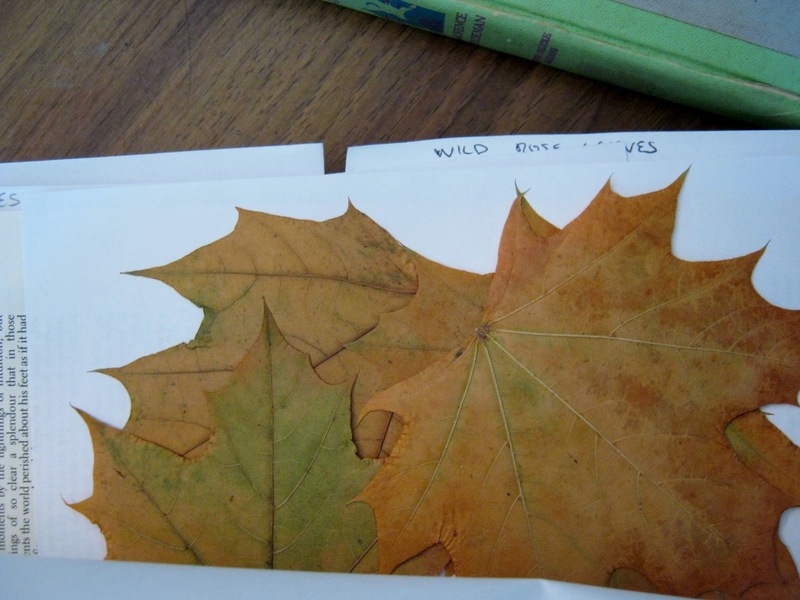 Another way to cut Autumn leaves is to use Wonder Under. Wonder Under is a fusible web made by Pellon. Wonder Under can be purchased in any fabric store. 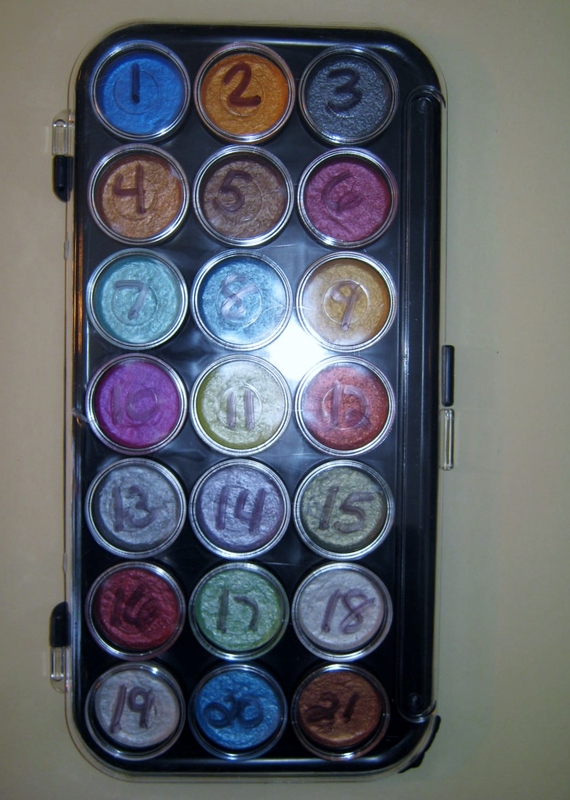 Craft and hobby outlets also carry fusible web, but you usually have to buy a full package, a waste of money if you need only a quarter yard or less. Create a pattern. 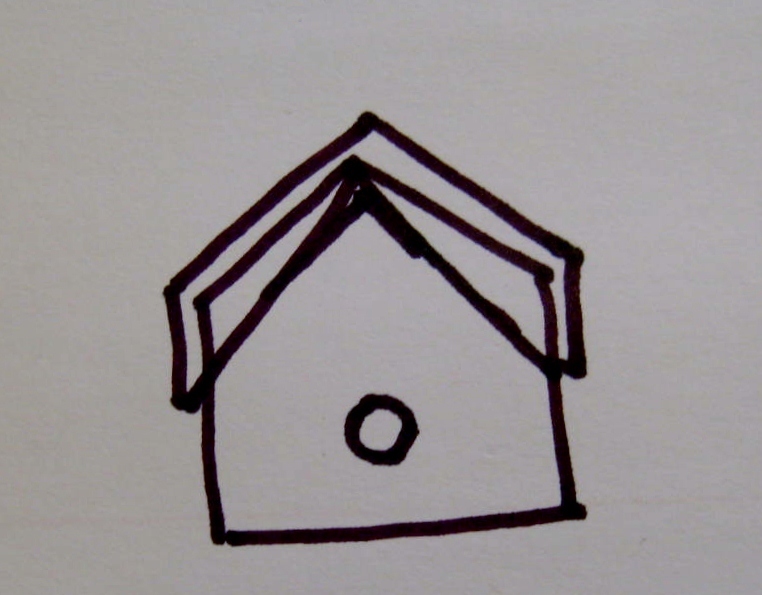 I am working with a bird house shape. 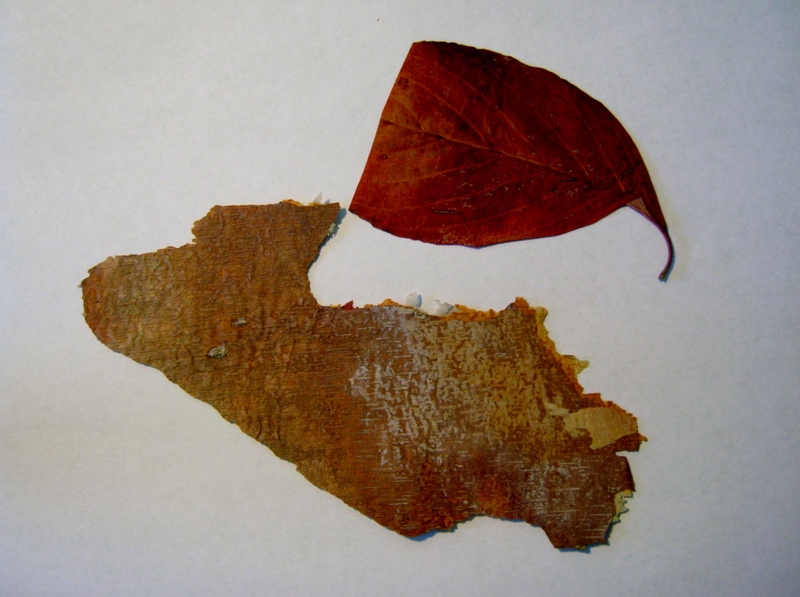 Trace pattern onto Wonder Under and fuse with an iron onto the back of the leaf or bark. Remember, whatever pattern you choose will reverse itself in direction when fused to the back. 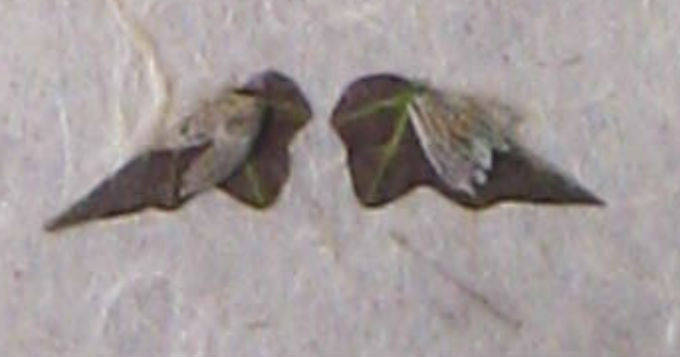 Another technique is to fuse the Wonder Under directly to the back of the leaf, and then after tracing the pattern, cut out the shape you desire from the leaf. I am sometimes tempted to remove the Wonder Under backing and fuse the cut leaves to the card stock with an iron. This is not a good idea for two reasons, the removal of the backing often destroys the leaf, and the heat of the iron will usually warp the card stock to some degree. It’s a better idea to leave the Wonder Under in place permanently and glue the leaf to the card with the fusible web intact. 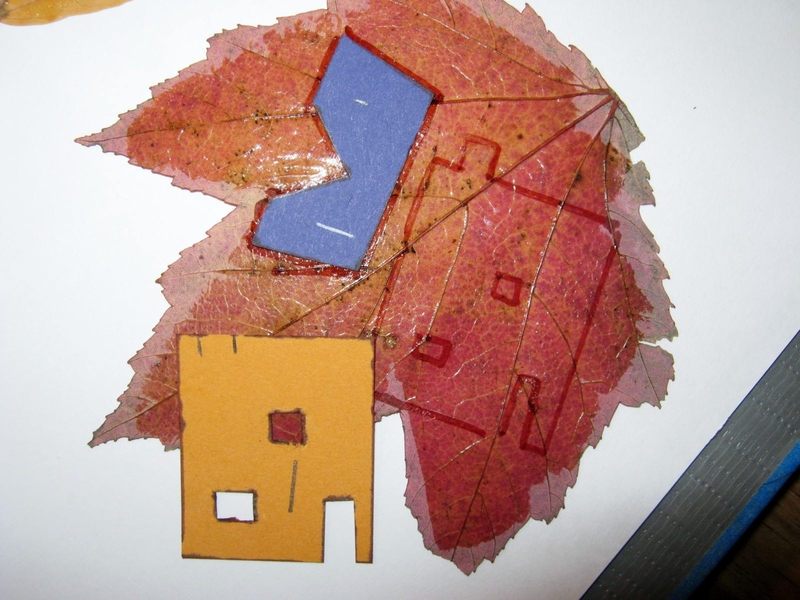 It’s fun to create different shapes for your pressed flower work using the beauty of Autumn leaves and the thin bark of a birch tree. Have fun. 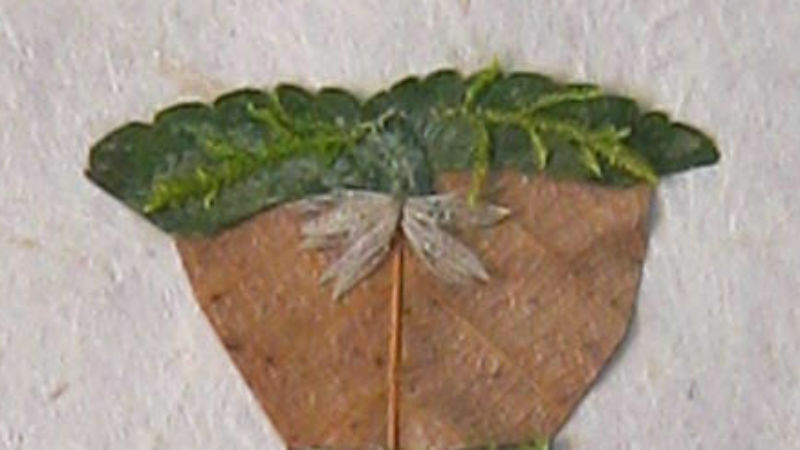 Although the greens in this pressed flower composition have faded into brown, it is still a good example of how well the actual flowers and leaves hold up over time. 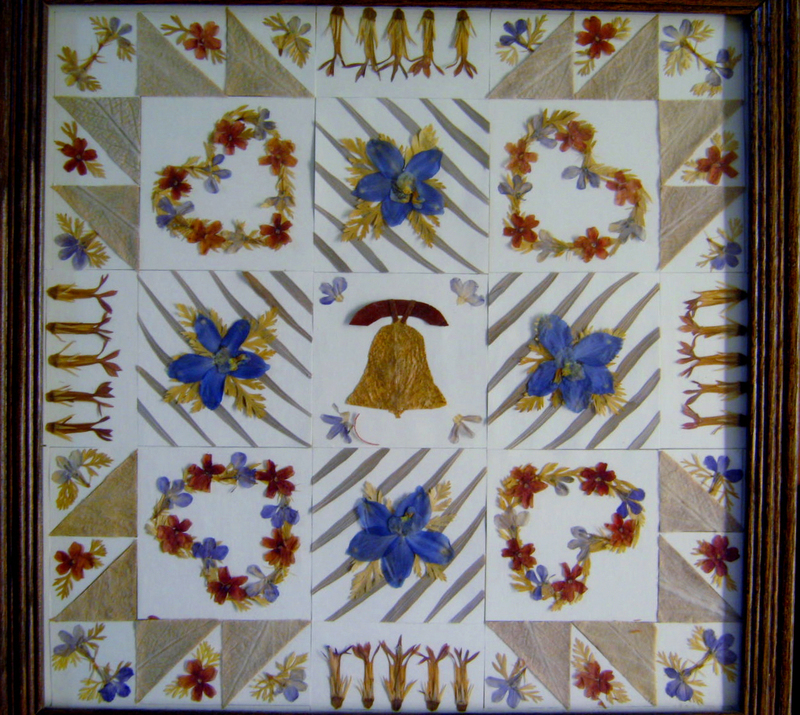 This pressed flower picture was an entry in the Philadelphia Flower Show in the early 1990’s. The Category was “City of Brotherly Love,” and the piece was supposed to portray a quilt. Considering the span of time, near twenty years, I think it has held up very well. 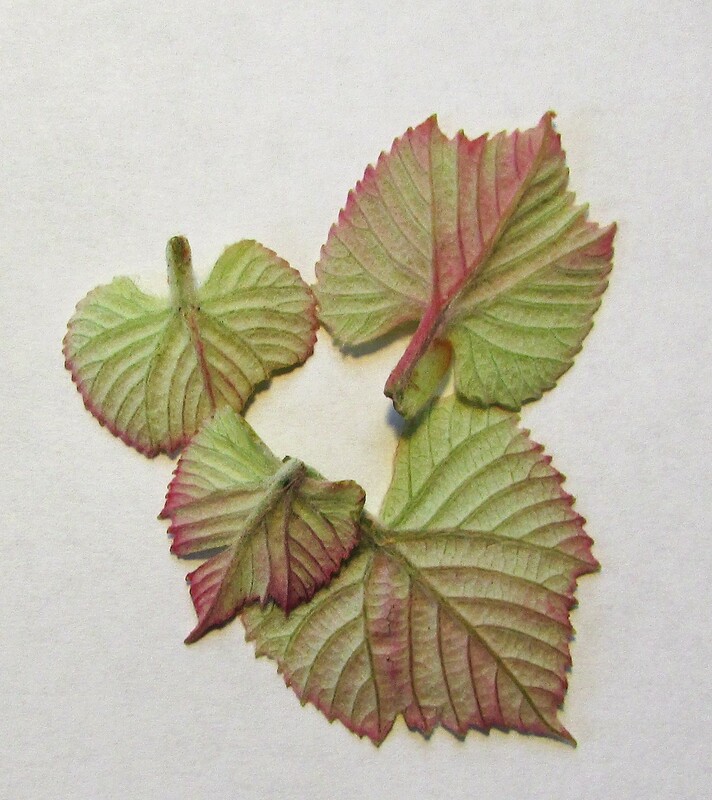 It’s time to begin pressing emerging miniature pieces of foliage and tendrils. Wildflowers will soon be blooming too. Buttercups are one of the earliest and press very well. (Pinch out the hard center first) Happy Pressing! 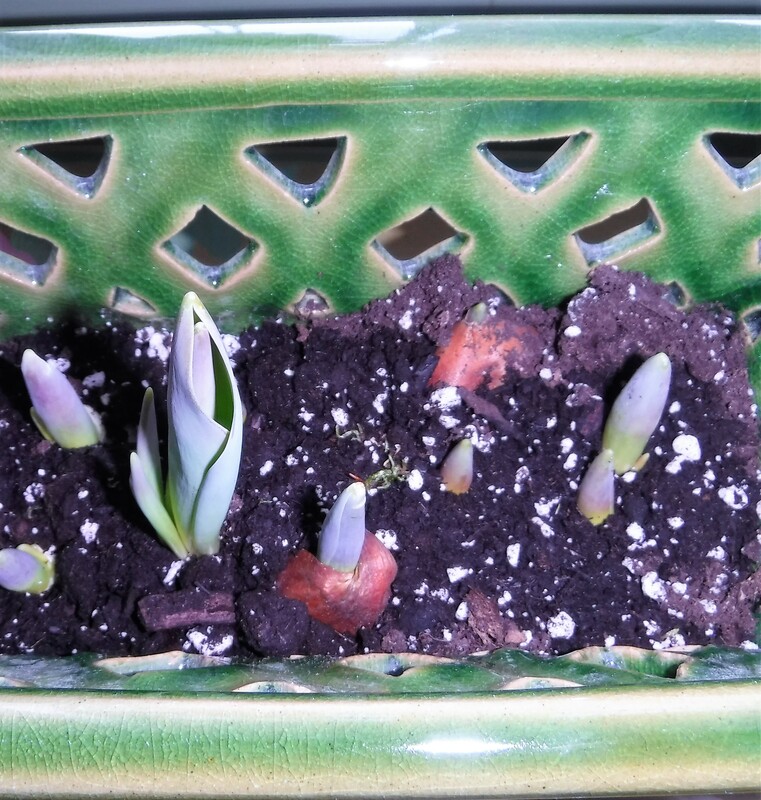 I blogged on February 24th of this year about pressing an early season crocus. 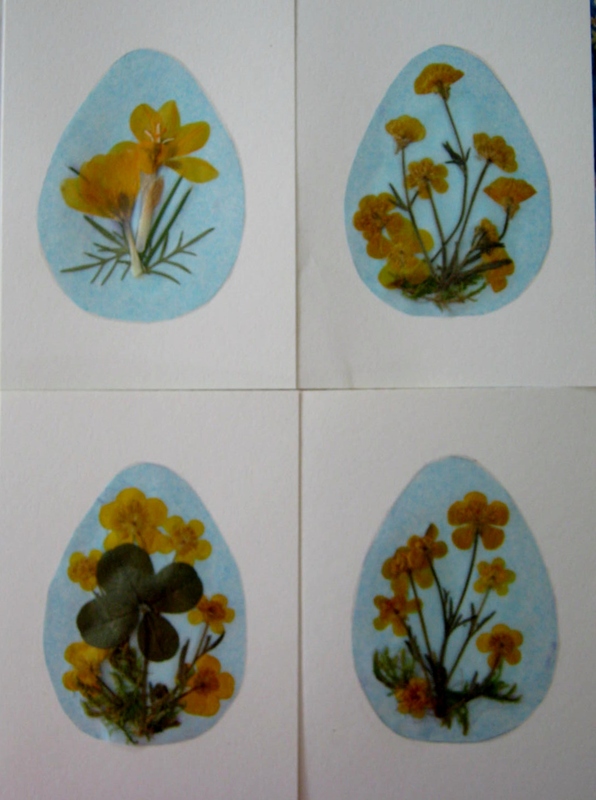 This week I created an Easter greeting card with the flower and leaves, and also created a few cards with buttercups and a four leaf clover. The cards were quick and easy and turned out very pretty. 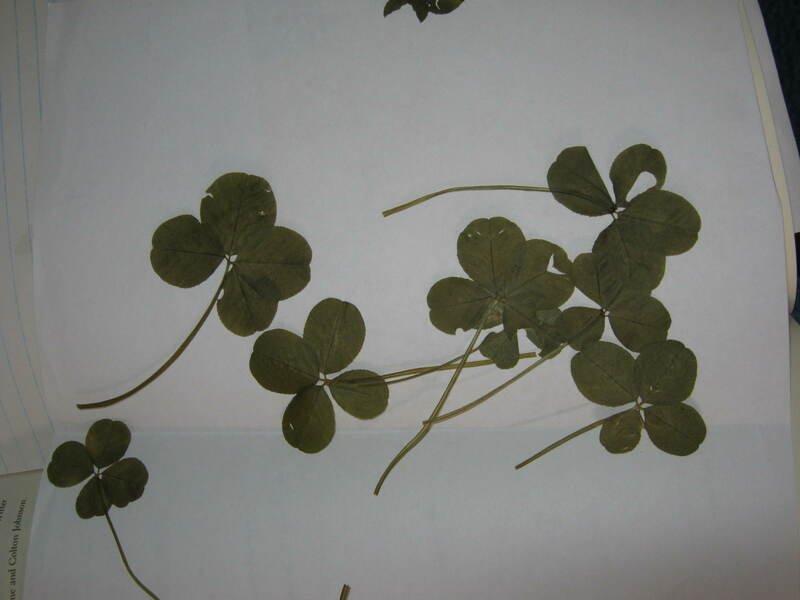 * Tip for finding four leaf clovers at bottom of post. 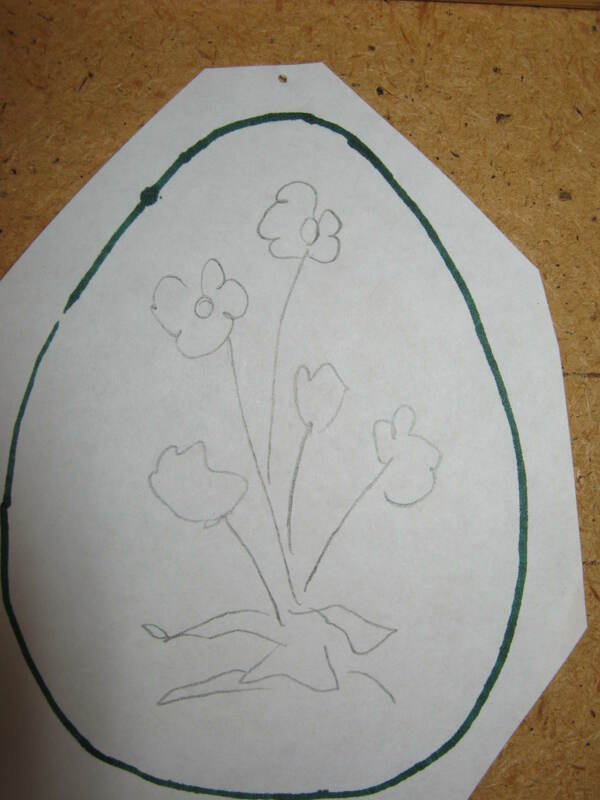 To begin, I found an egg-shape on the web in Google Images and traced it with tracing paper. An egg-shape seems easy to draw free-hand until you attempt to have both sides perfectly even…not easy! 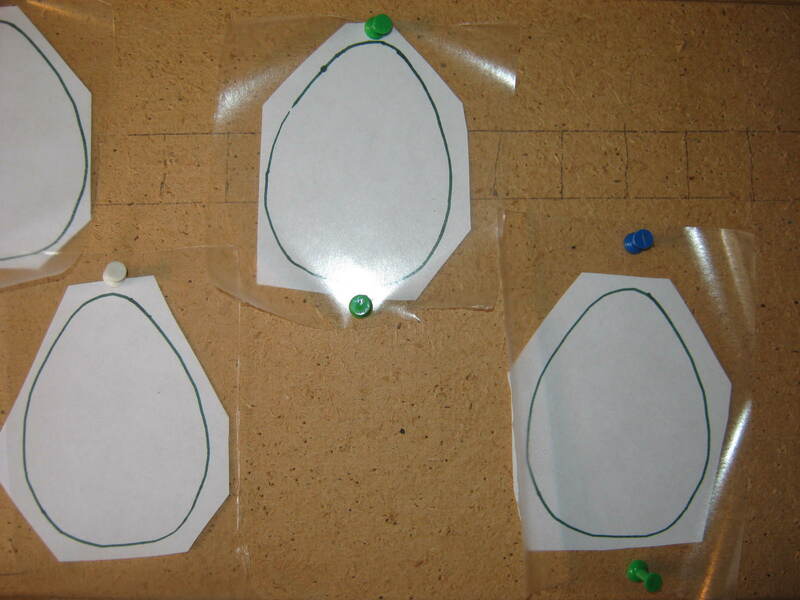 After I found and traced an egg-shape, I cut it out and then traced the shape onto cardboard. I traced the shape onto a piece of Coverseal, a very clear type of contact paper, made four outlines on plain white computer paper, and then traced yet again onto robin’s egg blue tissue paper. I cut the tissue paper eggs out around the outline. I removed the backing from the Coverseal and placed it, tacky side up over the computer paper outline. 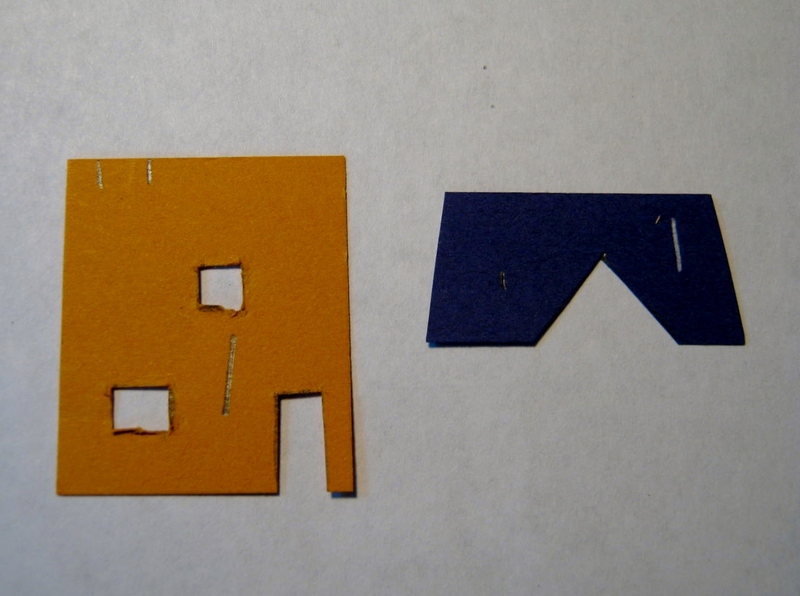 I placed each of these onto a cork bulletin board and tacked the outer edges down with push pins to hold it steady. Now you can wing it and compose your card without a pattern, or you can sketch out a quick little design to follow. Be aware, your finished design will reverse itself when you place the Coverseal onto the card. 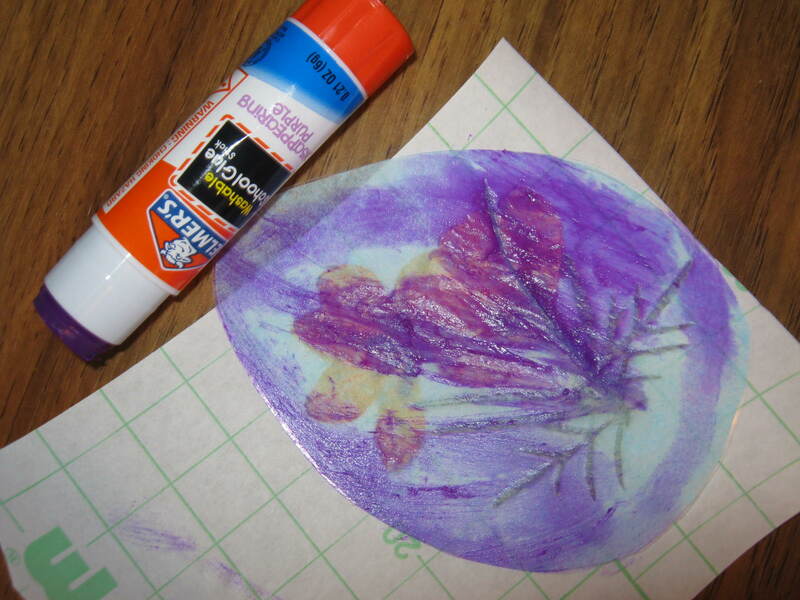 Place the flowers onto the Coverseal within the egg shape. BE VERY CAREFUL TO PLACE THEM FRONT SIDE DOWN. 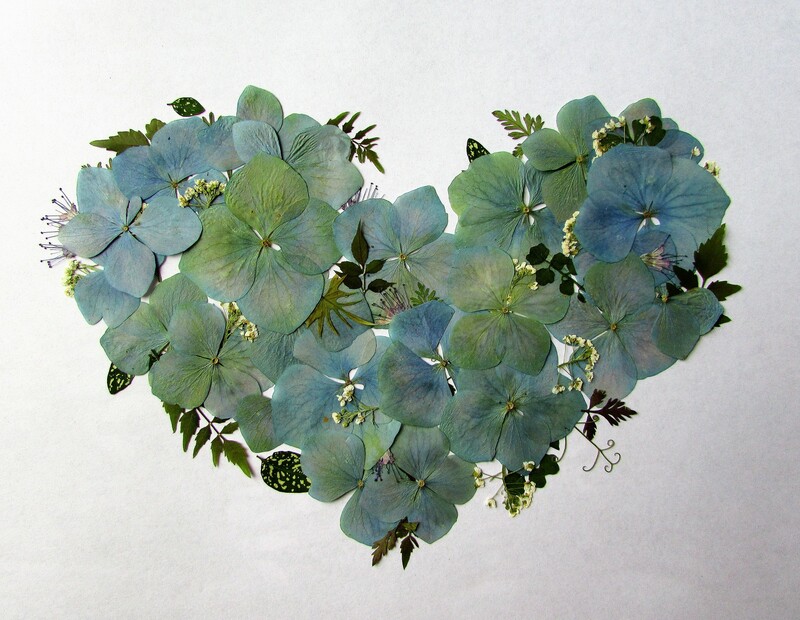 Start with the flowers first, the foliage second, unless your foliage takes center stage as the four leaf clover does in one of the card designs. 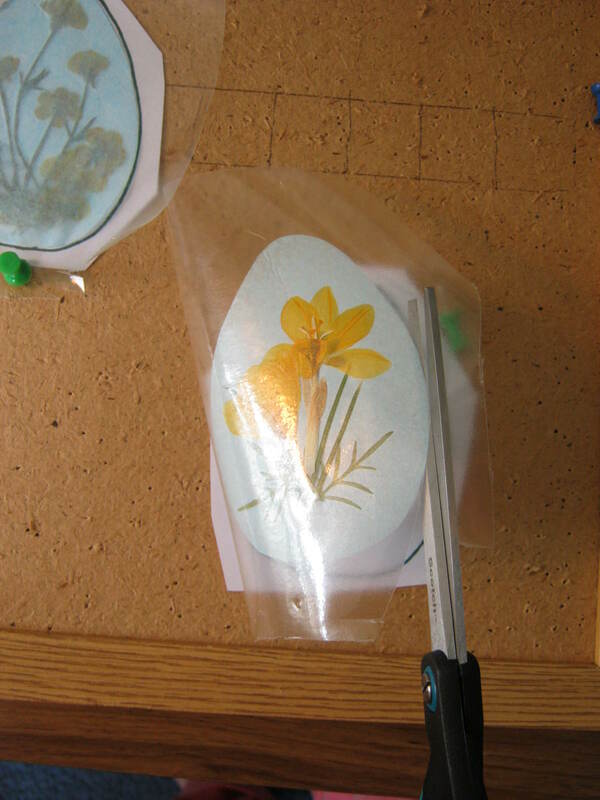 When you are finished designing, place the tissue paper egg over the design, and cut out the excess Coverseal directly around the outer edges of the tissue paper. You will now have a beautiful pressed flower egg in your hand. Turn the egg over and cover most of it, especially the edges, with glue stick. I use a glue stick that goes on purple and turns clear. The purple makes it very easy to make sure you have all the edges covered. Place egg on waiting greeting card and let dry. Voila`…a beautiful handcrafted Easter greeting card. I was very happy with my finished eggs. Happy crafting! In 1992 a classic floral arranging book was published. 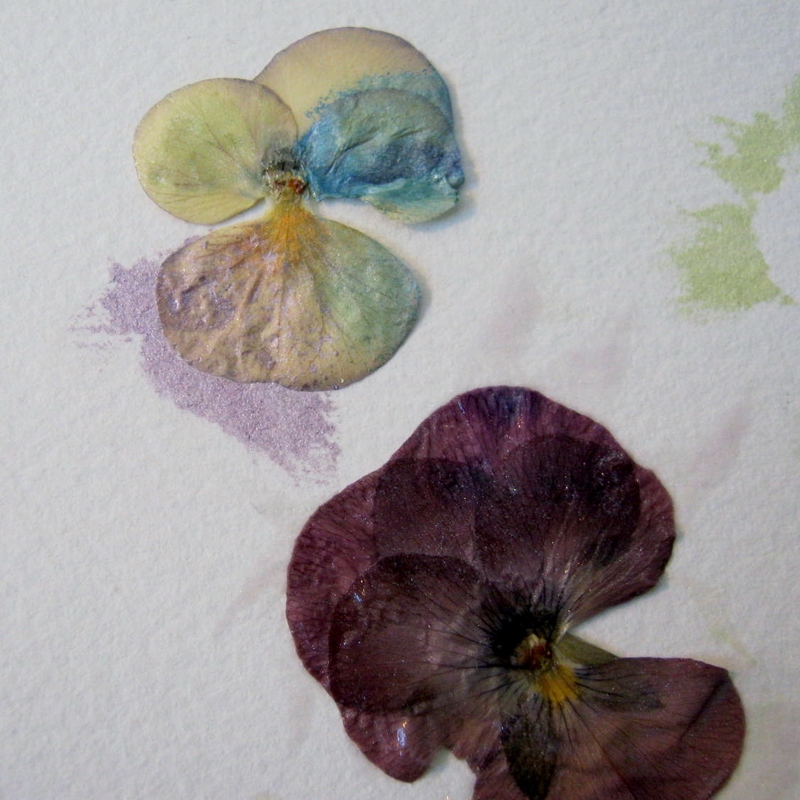 It has always been one of my favorites on the subject of pressed & dried flowers. 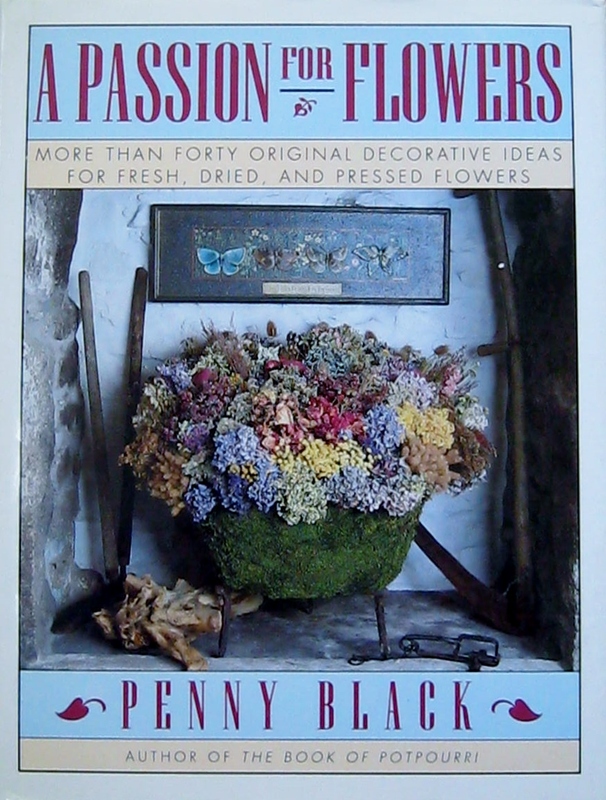 Written by Penny Black, this terrific how-to book is a timeless account of how to use flowers for your home and giving to others. This week I used my pressings to create a sweet fairy dress. The whimsical side of my nature was quite pleased with the result. The picture measures 5 x 7, and is bordered with words cut from a children’s paperback. I used an old book that was yellowed with age. This enabled the words to blend into the mulberry paper and create an aged look. 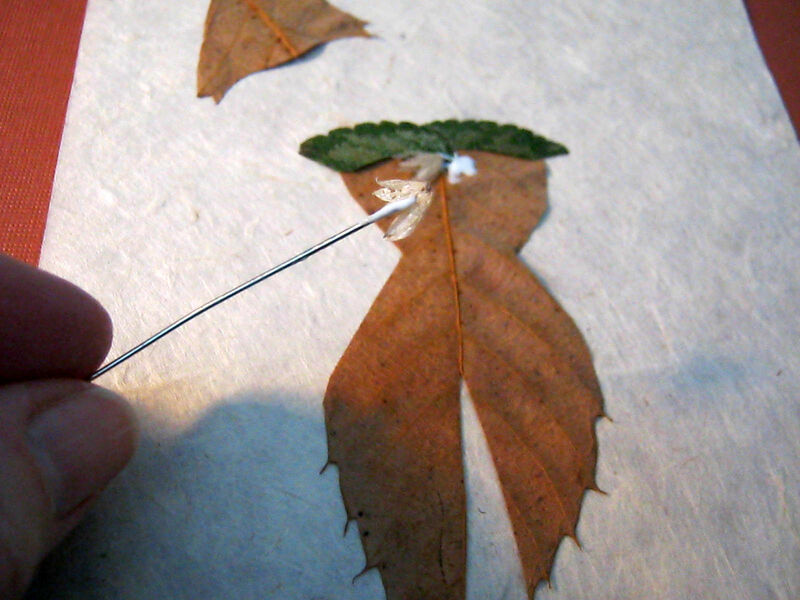 The materials I used to create my fairy dress were a piece of 5 x 7 beige mulberry paper and an instant grab glue. Two additional tools I use for pressed flower work are a paintbrush, good for lifting fragile flowers, and a pearl floral pin, perfect for running a small amount of glue beneath an errant edge. 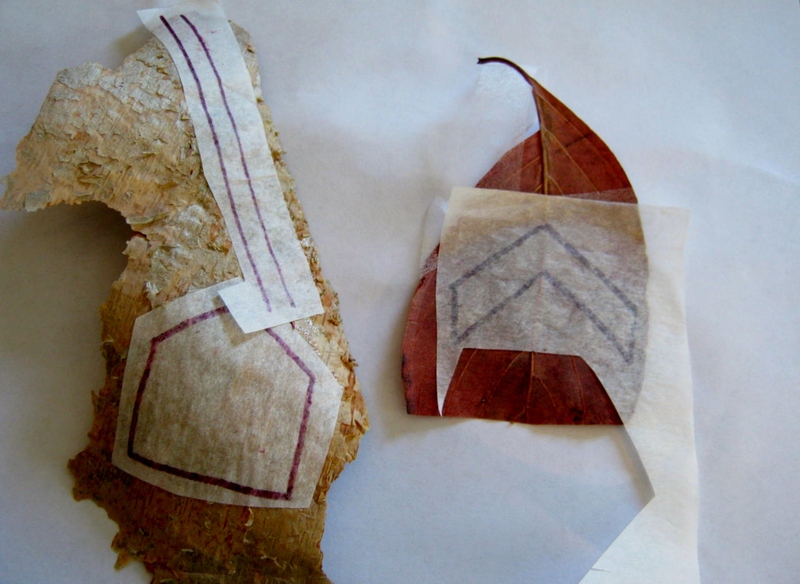 I began my designing by cutting a bodice top and waist into an ash leaf. Remembering that most fairy dresses have the look of the ethereal about them, I cut a slit up the front of the skirt in order to take away the impression of heaviness and formality. 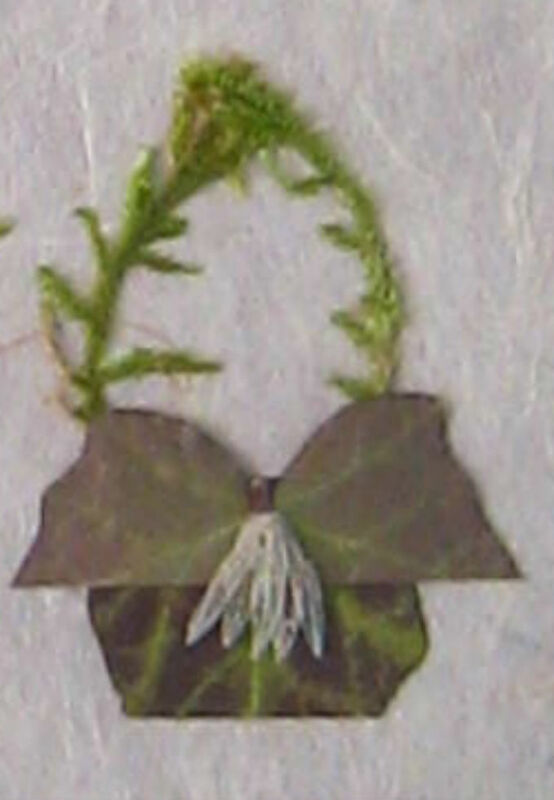 I added a decorative edge of trimmed lamium leaves, a sprig of moss, and the lace-like petals of a spent sage flower. 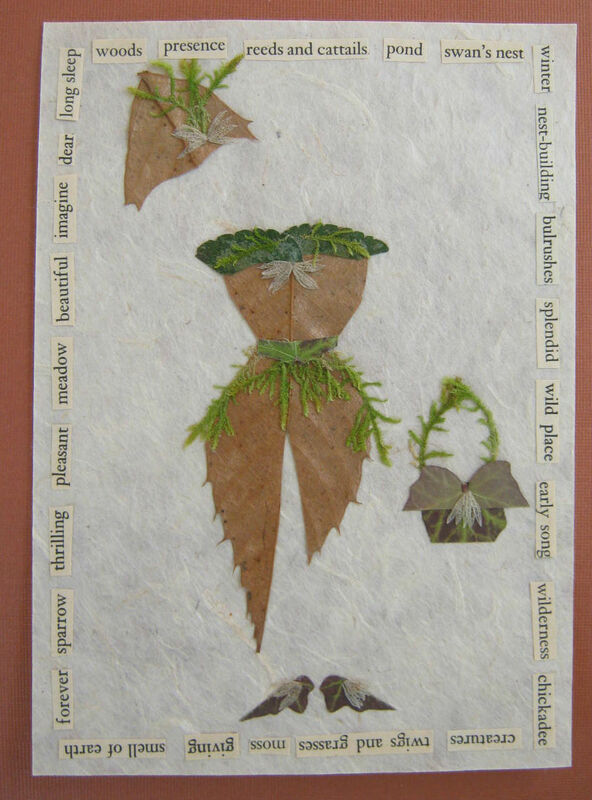 To give the dress an airy look I created a peplum ruffle out of moss sprigs and a belt out of a cut ivy leaf. 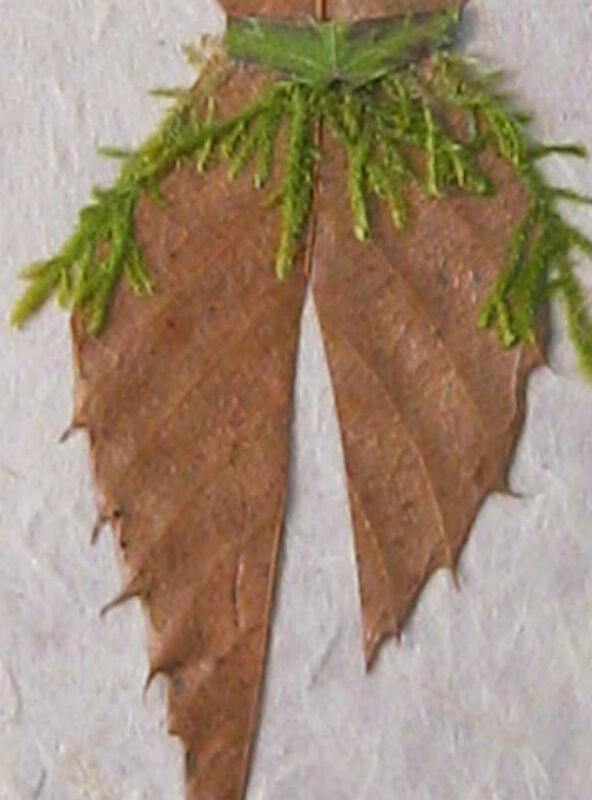 I crafted a hat out of the top of the ash leaf, adding a jaunty sprig of moss and flower petals. I adore the shoes. They are cobbled out of one ivy leaf and sport some lacy sage flower petals. The handbag is composed of an ivy leaf and sage petals. A moss sprig handle adds a touch of greenery. I used the backside of the ivy for the top of the bag, and the front of the same leaf, pointed edge cut away, for the bottom. So much fun…yesterday I went out to collect for February’s fairy dress, alas, there is very little out there. The snow and frigid temperatures of winter haven’t left much for pressing. I plan to go out again soon and make a more thorough search…updates will follow. Oh Happy Day! Crocus are blooming in my side garden. How exciting to have something to press with a little bit of color to it. I press crocus in two ways, open and cup-shaped. 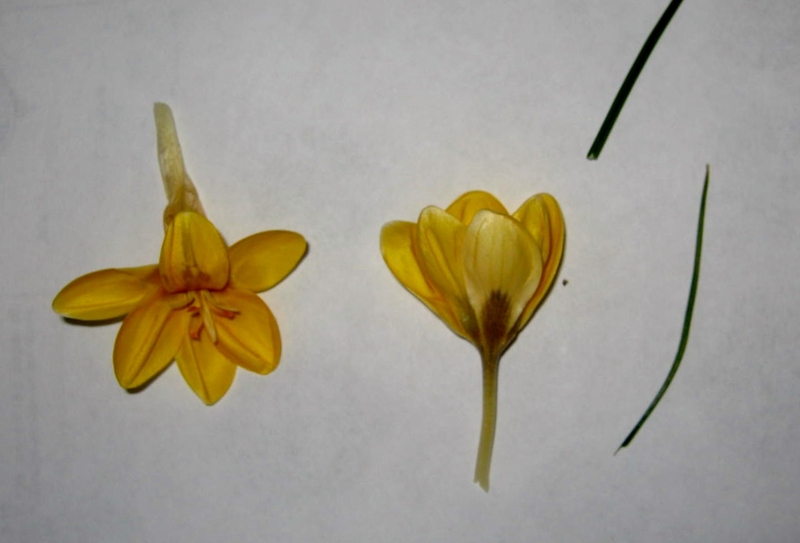 To press a crocus in an open position gently press the petals flat to reveal the pollen stems. 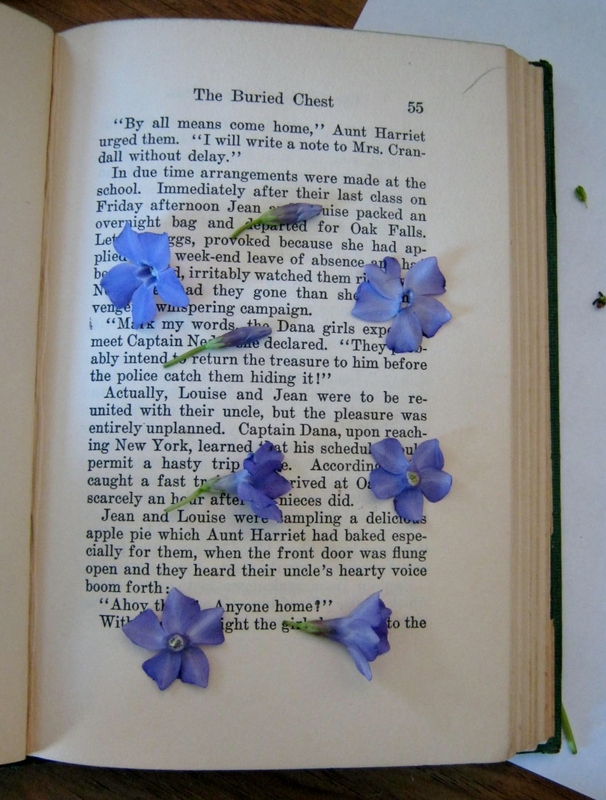 I pressed these flowers between the pages of acid-free paper in a weighted down book.